Relative size compared to original E-M1, and X1D (because I had one handy). LCD now tilts and swivels. While I am surely one of the people criticising Ming in various reviews, in this case his findings are virtually identical to mine. I have the cam for 8 months now. The menusystem…gee…can’t hold a candle to the Panasonic GH4 (and GH5 adds what Ming is missing). The IQ indeed is a bit better than any other mFT cam (Gh5 is probably an exception). The HiRes mode is a thing I use a lot for landscapes and it does not disappoint. I use it even in seriously brisk wind and even then it is good but not with things moving near (within 10-15 m) from the camera. You still get multiple images of the same subject in one shot..but…no more strange patterns. For sports this cam takes quite some time to find what kind of settings are best for certain situatiions. For instance C-Af works a treat but it just goes for the most contrasting thing in the frame if something is there. A clear example: foam on a wave. I had loads of pics slightly out of focus of watersports since the cam tended to focus in front of the subject ( a bow wave formed with foam…). Something even at 14x is not visible on the screen but sadly resulted in unusual blurry pics on a screen…Here C-AF+Tr got almost completely (but not completely) rid of the problem and the tracking was pretty good. There are so many details to mention that I’ll stop here. Do I love this cam? No and I never will. For one reason only: because of the menusystem. Not only it is a maze, also it has to my mind some very illogical choices which are nothing new to me since I used other recent Oly cams before. What makes it worse to my mind is that there is no dedicated ISO button, no dedicated AF–modes buttong or switch, no WB button, no AF button (S-AF, MF, C-AF are all in the menu), there is also no switch to set Single shot, burst, 2s/10s delay etc..All in the menu. So you are forced to go into the menu or SCP mostly rather than to quickly flick some switches of very basic and often used settings. Finally back to the review: not only is the text spot on in my view, the pics are what they are with every single review by Ming…all ranging from solid to very good giving a very good impression what a good photographer can do with this tool. In default configuration. The two button on the top right of the camera where the on off switch is. Allow you to access the af modes and drive configuration. The lever where the AE-L button, moving it to position 2 allow you to change the ISO or WB by turning the dials. If someone challenged you to select a worthy opponent for the em1.2 w 12-100 for a similar budget, what would you choose? I need to upgrade my em5 but I’m struggling to justify the $2500 USD for the body alone of the em1.2 here in Australia. Debating whether to try a pro zoom on my em5 or switch to aps-c like the d5500 or even ff. If I can give a useful advice, as a D5500 user, I don’t think it can provide anything comparable to the EM-1.2+12-100 combo but image quality and a bit smaller budget even considering you have access to the very good 70-200 F/4 from Nikon with it and other excellent lenses, of course. My try with it and the 16-80 was a bit disappointing, especially in comparison with D7200, which is just married with that lens now :D. It really depends on your priority and what you’re able to forgive and forget while using your camera. Might be surprising (and probably controversial for many) but for me, for price+size/weight concerns, I think Canon EOS M6+18-150 is probably a better contender. But it sure lacks many features that you can find in EM1.2 or GH5. Though, if you don’t care about 4K, hyper burst and hyper stab and can try a M6+18-150 combo, you should at least give it a try, if you can. It’s also really much cheaper ! (1100 $ so even less than half the price of the EM1.2 for the whole system !). Just an idea. Any updates since we now have raw compatibility? 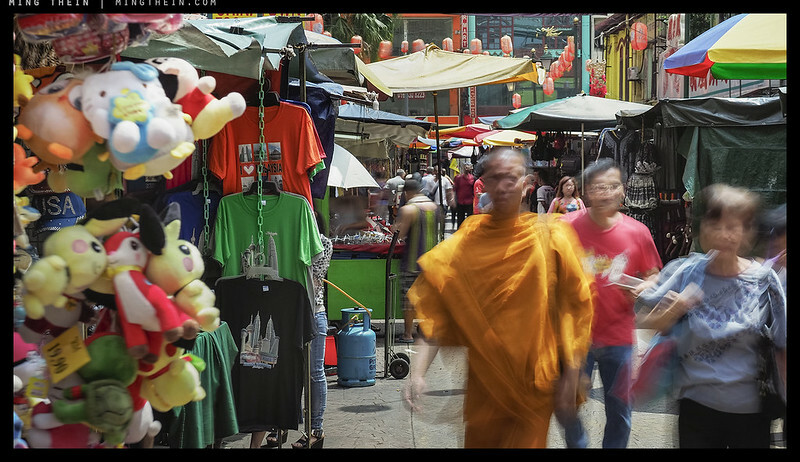 I’m traveling the world for a year and shooting with two XT2’s – which I love, stills and video are both really good and I shoot about 50/50 – but the lenses are inhaling dust at an alarming rate. After spending time in Myanmar, Vietnam, Cambodia and now India – the inside of my most used lenses are pretty bad and its showing in images. I’m seriously considering shifting my kit to the EM1.2 mostly for the weather sealing. I’ll be in Japan, then Taiwan and HK for most of April, going to try and get my lenses cleaned, but Africa and Central/South America will follow my Asia tour so more dust. Any thoughts? Ouch. I’ve not had any dust issues with any Olympus – even the very early ones; they do seem to do a great job with sealing and sensor cleaning. No updates other than camera performs as expected, and perhaps slightly better – I’ve got one myself, so that’s perhaps the highest recommendation I can give it (and there’s an E-M1.2 profile available with Workflow III). Congratulations to your new posting at Hasselblad! Certainly going to miss the reviews of the other cameras that you do here. Looking forward to it! It won’t be the same of course but nice to know that the blog/reviews will continue in some shape or form. Now that I’ve deliberated on it for a bit the person of Praneeth surfaced. Haven’t read any of his reviews, but he is familiar for sure! Thank you for the reply. Still mulling the possibility of moving over, have to get one in hand before making any decisions. But the dust is awful in my two favorite Fuji lenses and the weather sealed zooms are too big or my travel purposes. Congrats on the position at Hasselblad as well. In considering this camera and the 300mm PRO lens for wildlife work it appears the AF is almost up to par with DSLRS’s. But what concerns me most is DOF and diffraction with the upper working limit of f/8 or therebouts. 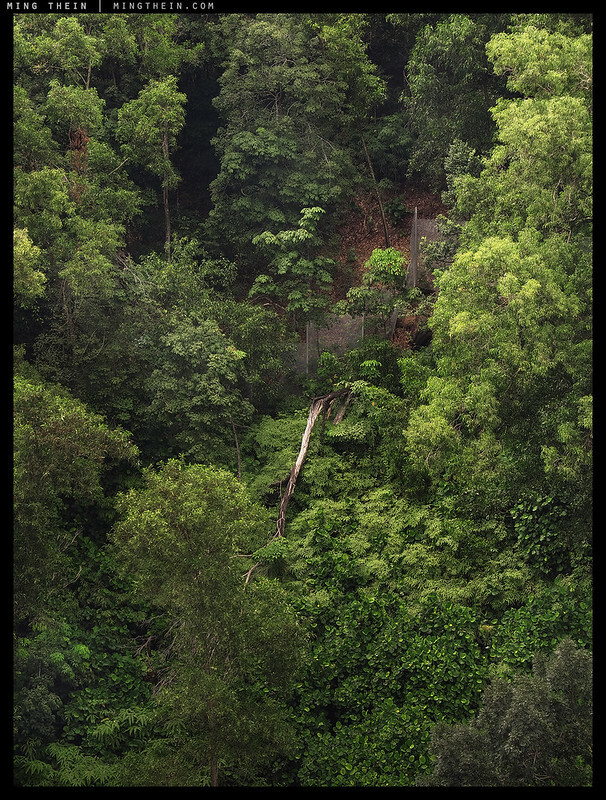 I’ve looked at the Olympus websites and viewed videos of their visionary outdoor photographers, but mostly they are shown creeping through the brush accompanied by lovely music with little useful information being discussed. Honestly, I’m considering the switch for more of the challenge to see if I can make this system work for me…and this from a guy who is currently using a Pentax 67II and the mysterious, but magnificent Pentax M* 67 800mm. At 70 yrs of age this is a problematic combination. My workhorse combo is a Nikon D3s and 400 f/2.8, still weighty. Can I make the OLY work for wildlife?? Finally got my E-M1.2. Handholding 12-100/4 for 1/2s @100mm is definitely possible, while trying to do the same with E-M5.2 and 45/1.8 results in huge ugly blur. This is crazy! Yes – the combined stabiliser is really quite impressive. And actually begs the question why they can’t do handheld high resolution mode on the lenses with built-in stabilisers – they could use the lens IS for positioning, and the sensor movement for the stitching. Lens IS can do only dual axis, sensor IS also accommodates for rotation/skew which is probably required for half-pixel precision. Hope there’s a possibility they’ll add it in the future software update though. BTW, the image in the viewfinder is not-rock solid for me and I can do slight composition tweaks: this is especially noticeable in magnified 10x view. Maybe it’s a difference in firmware version or something else. But those restrictions on lens IS are the same as for every other DSLR,, and they manage to hold position just fine. Overlap requires translation rather than rotation/skew – if anything, that would make stitching rather difficult since the pixel locations would no longer overlap perfectly. Maybe they could do it the other way round: pixel shift via lens IS and stabilize using sensor 🙂 Eventually on an infinite timescale someone will definitely implement this feature in a reliable manner. Also possible. I don’t know if the moving optics have the required precision though, as they’re not the same kind of motors from what I understand. I have E-M5 mark I and I am thinking of upgrading. Do you think that it is still worth upgrading today to E-M1 mark I? I use my current E-M5 primarily with Nokton 17.5 mm manual lens or sometimes with Pana 12-35 zoom. I dont shoot sports, I rather take pictures of landscapes and my daughter (but here i prefer the character of the wide open nokton over AF speed of the zoom). Thank you for your response. To E-M1 mark I: probably not unless the controls bother you, image quality is almost the same. Mark II would be a noticeable improvement of course. Thank you. I like the integrated grip on E-M1, but I have some grip on E-M5 as well (not the original though). The controls are fine. Most practical and informative review I’ve seen of this camera, thank you very much. I’d love to see some additional notes involving 4/3 (as opposed to micro 4/3) lenses for those of us left high and dry with the old 4/3 system looking to upgrade camera but wanting to get value from the old lenses. Sorry, I didn’t have time to test those. The video capabilities look rather impressive. I’m wondering if focus peaking is available in video or not? I’ve been practicing manual focus video with the E-M1 and at f/2.8 or smaller apertures I get it right most of the time at 1080p. I’m a bit worried, thought, that 4K is much more demanding in this regard, so any focusing aids would be welcome. By all accounts the AF is so good that I can rely on that most of the time, but still MF will be needed from time to time. I’ve been on the fence about the E-M1.2 for quite a while now, there are so many good options in that price range. But as it stands, there is simply no other camera out there today that gives me the same flexibility. Tripods don’t work so hot on a boat, so good stabilization is a must for me. Fuji doesn’t offer IBIS or OIS on many of their key lenses that I would use the most, so Fuji is a no-go. Shame really, otherwise a nice system. Sony does so many things wrong with their bodies and lens lineup that I don’t bother with them at all. Panasonic is coming out with models that have IBIS, but they are having problems with those and they don’t look as effective as Olympus. D810 is a dream camera for any other use, but for off-the-boat shooting it really couldn’t keep up with the E-M1. For some of the shots I’ve taken, the D810 would have to be somewhere around ISO6400 or more to get a sharp image when E-M1 would still be at base ISO. Peaking: didn’t get a chance to try it, but the video samples shot focusing with the LCD only were fine even when played back full resolution – and that was with the not exactly fast 12-100/4 (faster lenses are easier to focus because they have much more abrupt transitions in focal plane). For the overlapping Ocala lengths is the new 12 to 100 f4 equal or to than two pro zooms 12 to 40 and 40 to 150mm in IQ. I’d say yes. It’s a lot easier to design a good lens the slower the aperture becomes…one stop makes a significant difference on a zoom. I guess allows sharp in corners at extreme focal lengths but for 12 to 40mm not necessarily sharper. The 12 to 40 f2.8 pro is already sharp in corners wide open. But at 100mm probably f4 help a lot as you suggest. Nice review. I’ll keep EM1 SINCE I don’t shoot action or video. Or do ultraprints. Sharpness isn’t everything. The 12-40 has some rather ugly OOF transition areas…the 12-100 is a lot smoother in this regard. Interesting observation. Did you notice that at all focal lengths for the 12-100 or near 100 where there would be more compression effect. Lens might be worth taking a look at if the initial impressions hold up. Seems like more people are talking about this lens then the new 25mm which was a surprise for me. I don’t understand ugly OOF transition even with 4×5 darkroom background. What does it mean? Education link? Double images in bokeh, harsh/hard edges etc. Ming, I am surprised by your comments about the 12-40mm f/2.8 transition bokeh. Your earlier comments on good quality bokeh/no double lines in the 12-40 review have been quoted on forums multiple times. Seems like you have drastically changed your mind as now you call the transition bokeh ugly. I was interested in this lens so would appreciate a clarification. Thank you. It seems the behaviour is especially noticeable with video – for stills, I didn’t notice it as an issue. For video, unfortunately the results (probably because of downsampling to 1080P + compression in the case of the original E-M1) leave undesirable artefacts. This is something that a) takes time to test as it isn’t always manifested, and depends on shooting conditions and subject matter and distance; b) isn’t applicable in all situations, but unfortunately enough that it was an issue for us. I’d go with the 12-100 unless you absolutely need f2.8; you gain quite a bit from the optical stabiliser, too. Thank you. I am actually shooting D750 as my primary camera and my olympus em10.2 (with 17 1.8) is just a light weight/unobtrusive shooting option. So 12-100 is definitely an overkill for my usage case and even 12-40 is pretty big. However I read such good things about it (including your review) and it is still so small with em10.2 compared to nikon 24-120 and 1.4 primes with D750 – that I am very tempted to try it as a high quality portable all in one option. Does it make sense or you would recommend just to stick to D750/24-120 for when I need a zoom? It doesn’t make sense. It’s big enough to make you wish you’d just taken the other camera. But it would make sense for the IS if Dmitry had an EM1 MKII but then it wouldn’t be so small and unobtrusive. That combination actually weighs about as much as the D750/24-120, and doesn’t really pack meaningfully smaller. Thanks Ming for sharing your thoughts and insights on this camera. I had a chance to try the The E-M1.2 and 12-100 lens at a local demo day last week. I found them to be everything that you said they are. After reading your review I feel comfortable pre-ordering both. Re. vidoe stabilization, I thought the GX80/85 was supposed to be as good as Olympus..? Can’t say as I haven’t used one. But earlier models definitely were not. @jec I’m a long time m4/3 user (both Olympus and Panasonic bodies and lenses). I’ve got an E-M1 and a GX85 and I’d say that the new Panasonic IBIS and electromagnetic shutter are extremely competent…certainly enough so that I don’t really have a preference on Olympus vs Panasonic IBIS at this point. I feel that the choice comes down to other intangibles (e.g., ergonomics, video codec). I generally find myself using the E-M1 for only stills and the GX85 for all my run and gun video and for some stills (especially when traveling light and small with native primes like the Panasonic 20mm F1.7 which is a gem on the GX85). Both bodies have their place and offer subtle pros/cons. This is a bit OT. I own and use both an Olympus E-M5 and a Sony a7. The Sony has 50% more resolution, and over three times the sensor area, and I have some decent prime lenses (Canon FD 24mm f/2.8, Pentax-M 35mm f/2.8, Olympus 35mm f/2.8 Shift, Zeiss 50mm f/1.7 Planar, with a Minolta 35/1.8 on the way) but I find the Olympus—and my un-retired Lumix G3—to be *lively* in a way that the Sony is emphatically not. The Sony is perfect—perfectly sterile and pristine; it does enlarges more readily—but then, so it should. All of my processing is done from RAWs via Capture One and Pixelmator. You mentioned battery life as comparable to the Nikon D5, but is that realistic? Presuming CIPA does not set different testing standards for mirrorless compared to a DSLR, the Olympus is rated for 440 shots by CIPA standards, while the same tests gave the D5 an estimated 3780 shots. These numbers are the official specs. I’m reporting what I experienced. Several sessions in which battery depleted by 20-25% with 700+ or thereabout frames shot, in 2-3 frame bursts. Normal review (probably higher than usual due to new camera unfamiliarity) and OIS/IBIS on. Charging time and charger spec corroborates the % readout was accurate. Why would I report otherwise? Thank Ming for another great Review. I usually enjoy reading them as you go beyond the IQ question. As I “grow up” as an amateur, I do realize how important the ergonomic, and more importantly the fun are. I just have a question about the 25 mm f1.2: how would you qualify the “depth of field transition” (harsh, soft, brutal (or anything else))? Fairly smooth. But the background never gets that out of focus, which is good at shorter distances (more identifiable, contextual) but not good at longer ones (not enough separation). 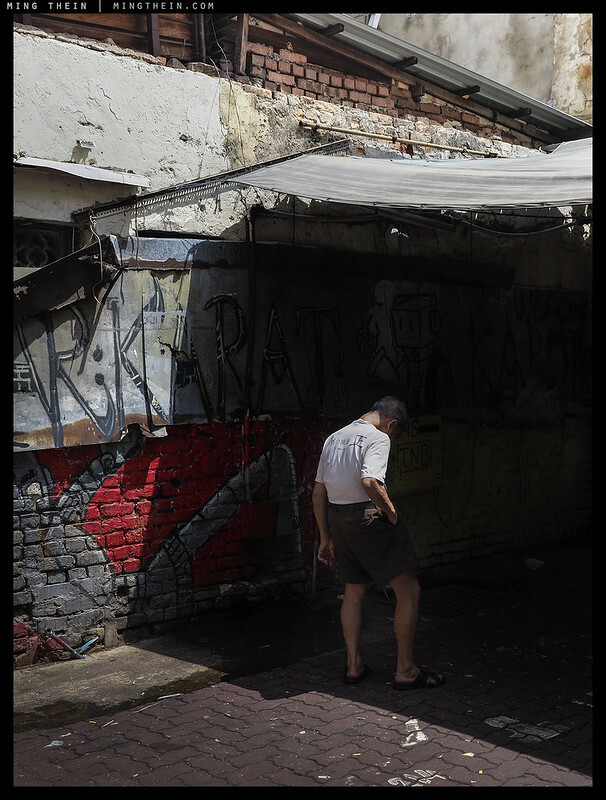 I have a very late comment/question regarding large aperture: Did you ever tried using focal reducer on m43? No, those weren’t available til I’d exited the system. People are too hung up on sensor size. I started taking photos when I was 16 and I’m 72 now. In all the years that I’ve been selling photos buyers have never once said, gee, I wish you used a different sensor, and I’ve been through a lot of cameras. They might ask me what kind of camera I use, and If I said I use a Bim Bam Rocket mark 3 they would go Ooooo nice. The camera I’ve made the most money with is a Nikon D40s (now retired) which I converted to Infrared. I traded in my FF Nikon stuff for a OM-D 1 and await my order for the Mark 2. People rarely ever go larger than 16×20 and the Olympus does that beautifully. I don’t sweat the noise because the sensors are so good, and any number of noise reduction software can take care of the rest. If you need to go larger, google “enlarge photo with photoshop,” or use Genuine Fractals. Easy. To use another analogy, the dual quad core processor in the Olympus is vastly more powerful than the computer in the Apollo space craft sent to the moon! Sorry, interpolation does NOT replace or create real information. How can software invent information that wasn’t there? Simple example: photograph a bank note at the same magnification with a lower resolution camera, use your choice of software to enlarge, and then compare the result with something shot with say a 100MP MF camera. If your output is only web and small print, then yes, I agree, it doesn’t matter. But this isn’t the case for everybody. Unfortunately, hyperbole isn’t a replacement for the laws of physics. If it were, everyone and their dog would be using an Olympus m4/3 camera right now—because their lenses, operational technology, and feature sets are highly impressive. I’ll play Devil’s advocate here: Noise is observably more present with m4/3 than with other cameras that sport larger sensors. Why settle for that when the world has moved on and there are better sensors available that give you a wider shooting envelope…for less money? This isn’t just a noise issue, either. 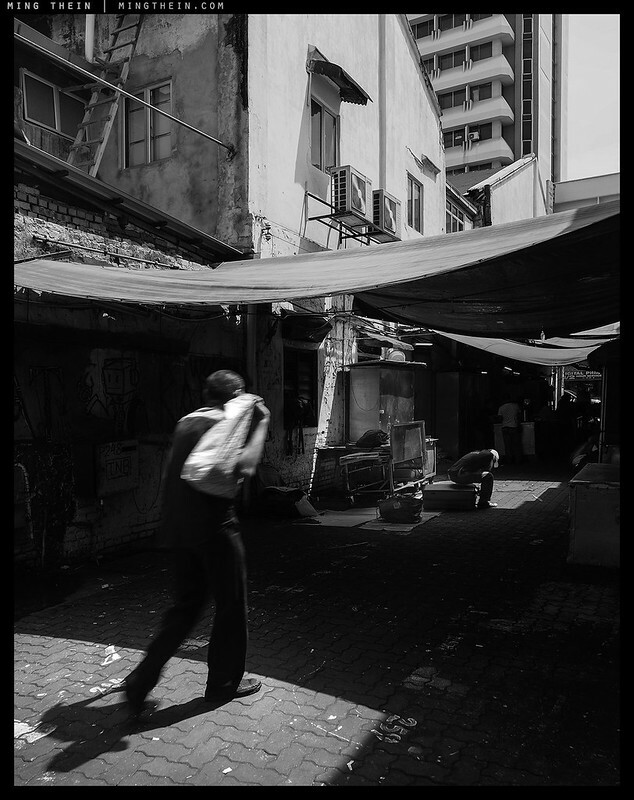 m4/3 images look more contrasty (sometimes even a tad cartoonish) with harsher tonal transitions and less overall “depth” in the image (12 bit files only still). I’ve gotten some lovely captures with my E-M1, but if I’m honest I have to be more careful and the best images I’ve gotten have come under ideal or controlled light. When the lighting conditions get tougher and/or less predictable, I genuinely worry whether or not the camera can do the job. That worry isn’t nearly as prevalent when I shoot with the X-T2 or X-Pro2. I didn’t start taking photos in 1960, but neither am I a spring chicken, either (began in 1977), so I’ve seen a lot of tech come and go and have amassed a bit of knowledge over the past 40 years. So I get what you’re saying about folks being hung up on sensor size, and even agree with it in principle. But the hard reality is that when you have to deliver professional results, personal biases and academic debates die at the alter of client expectations. > m4/3 images look more contrasty (sometimes even a tad cartoonish) with harsher tonal transitions and less overall “depth” in the image (12 bit files only still). Why is it that they look more contrasty? I’ve noticed this and The only reasons I could come up with were lens design/coatings, or Olympus photographers all liked to process their photos the same way. Genuinely curious as it’s not a look I prefer, and competent though the cameras are, is a major reason in being put off Olympus m4/3. Less input dynamic range with same output dynamic range (i.e. same viewing medium) = more contrast. Plus less tonal gradations means harsher transitions between existing tones, resulting in a more “contrasty” look. my cellphone is vastly more powerful than apollos computers too….. vastly more memory too …..
Great review. I would appreciate your thoughts on how the EM1.2 compares to the Nikon D5500 in terms of image quality. Thanks. The D5500 has a much better sensor, but the E-M1.2’s stabiliser means that you could use a lower ISO for the same level of acuity/shake most of the time – this evens things out providing high shutter speeds are not critical to avoiding subject motion. How does the DX lens catalogue compare to the MZuiko range? I’m thinking one could get a really nice lens on a d5500 for the price of the new Olympus body alone. Hi Ming, as always, strong images and excellent review, the most informational and interesting I read so far on the advantages of the product. I’m glad to learn I’m not the only one to find DX lenses line-up to be pretty poor. To my sense, Nikon is just missing something on that, pushing so much IQ in their DX cameras and nearly not providing any lightweight lens on par. I get some pretty good results with old (and cheaper) AI-S lenses (180 f2.8 for instance) on D7200 that shows even more how recent DX lenses are far from using all the excellence of the sensor, especially in the color and nuances range. As I discover and learn, I’m quite frustrated. On the IQ area, I didn’t think that EM1.2 should have this advantage. I was only considering it for weight advantages, especially on some lenses like 300mm. I’m now quite impatient too to see your point about printing stills from raw files. My thinking is DX is a way for anyone to get into the brand at a relatively low price point then Nikon tells EVERYONE, not just the pros that to get the best IQ, and frankly the choice of quality lens, FF is the ‘upgrade’ path. The Pros are likely using FF anyway so Nikon knows they don’t really have to advertise much to that group. And finally the handful of pros that use the D5, D4s for real work. Likely the least of their revenue. In theory a great marketing strategy but unfortunately for Nikon and the industry as a whole, people aren’t even buying the starter camera anymore. This talk of IQ for the masses is a moot point as they’ve already voted with their dollars that the IQ from Sony’s tiny sensor in the iPhone is more then enough. Now that Apple is showing that they can adjust the bokeh in Portrait mode, they’ve put another nail in the coffin. Why buy a starter camera from any company when my iPhone 7S Plus does everything I need it to do? I own both FF and DX, so, to me, this upgrade path is a round trip :D. But yes, I’m not a pro, only selling some prints when I can, that’s all. Though, I really think that DX could be as serious as FF if Nikon wanted to give it a try as a serious lens line-up. The performances of nowadays APSC cameras are just above whatever can be expected from a sensor. Some years ago nobody complained about using fantastic lenses on FF sensors that were far from being as good as nowadays APSC. And we have seen that some lenses have been upgraded because they were not good anymore in comparison to what nowadays sensors can deliver. So why not give a try to pro APSC ? And also, why did Nikon tag the D500 to be a pro camera then in this “no DX lens land” ? Pros have to carry heavy lenses to be serious… seriously 😀 ? Or do Nikon consider the D500 as nothing but a pro camera with embedded extender or a “fix cropping feature” pro camera (kind of :D) ? To me, the last iPhone development is also a danger for FF (If I was to be polemic though, I’d say 1inch then M43 are there next logical deadly victims). If Nikon planned some people should reach this upgrade path to FF, what if those people don’t even enter the photography dedicated camera market ? So yes, it looks like the decision to fulfill DX lens line-up with beautiful “leica like” or “fuji like” fixed lenses would come too late anyway. And it would be financially very difficult for Nikon at this point to try to change their way in a marketing path they developed so well. It leaves room for competition then and, for instance, Fuji is trying right now to change this path. Maybe it’s also only marketing (quite viral though, it seems :D). Let’s see if it will succeed thru next years because, of course, it can also be only a market bubble. Whatever, perhaps there is too many people owning FF nowadays and it’s simply far above of their needs. And perhaps you’re right, and we will see only two kind of photographers in a near future : the occasional one with a smartphone and the pro one with a tank :D. Just hoping the tank will shrink a bit and be at some reasonable prices 😀 Who knows ? Funny because the other end of the market is moving in the opposite direction: that X1D is so small it actually compares favourably to the D500/ D750 sized bodies; having just completed an assignment with a H5, H6 and X1D, I can say I definitely prefer smaller and lighter! I think the D500 is an odd ball in Nikon’s strategy. They have the DX pro body but not necessarily the pro lens to match. I think both Nikon and Canon have the biggest advantage and drawback at the same time. They have a library of FF lens that go back generations and these companies make money selling lens, not bodies. But they’re also stuck supporting these legacy lens. Nikon looked at the library and likely decided instead of developing a completely new set of lens for the DX, why not get them in the brand and nudge them to go FF where the lens are already designed and made. Likely the most logical and cost effective strategy. Of course mirrorless and the iPhone re-wrote the rules. Ming brings up a good point where the MF bodies are going smaller because there’s really no reason why a FF mirrorless has to be big anyway without the mirror box, etc. I have to say the Leica SL is an odd one as it seems to buck the trend. So maybe Fuji/Pentax/Hasselblad are seeing the same trend. iPhone/Android phones chipping away at the portable, IQ quality good enough for the majority and the other end like Ming that needs the IQ from a MF sensor. Leaving the other manufacturers to fight it out over a shrinking pie. I think people right now are not even entering the dedicated photography market and the sales prove it. Nikon is laying off 10% of its workforce as it figures out what to do next. What’s ironic about the iPhone and Sony’s sensors is that the latest technology is offered at the smaller sizes first and then it slowly trickles up. It’s usually the other way around. Back for lunch… 😀 well for the smaller being the first, my guess is simply that companies try to address the most people for the most sales. The “tech to the market” had big changes these last years, they had to adapt their ways and find money to develop gears right from the start, instead of firstly develop several niche solutions that would possibly find some application later. Maybe the kickstarted way is generalizing… good or bad. That’s probably why competitors try to occupy this market segment. We will probably see who’s right soon I think. I’m intrigued at your use of ND filter. Can you please elaborate when and why you use one. I know what an ND filter is and how it works already. Just want to know your reasoning for sing one. I hear ISO 64 is not real. Just a degradation of ISO 200. comments? Very nice review thank you. Couldn’t get shutter speeds low enough for the degree of motion I wanted otherwise. Stopping down past f8 causes diffraction softness, and obviously lowering shutter speed manually will just result in overexposure. ISO 64 is a pull setting and loses quite a bit of dynamic range. I’ve been watching this camera body with great interest. Not only do I have the E-M1, but also the Panasonic GH4, GX8, and GM5. The E-M1 and GH4 have been of great use at skate parks. When I first got the E-M1, I was surprised at how poorly it worked with my Four-Thirds lenses. I considered many times that they had been used quite a lot, but putting them on the E-1, E-5, or GH4 proved otherwise. Equally, the lack of two card slots, the lack of an articulated rear display, and the tiny battery capacity made life more difficult than it should be. It feels as though the E-5 replacement is finally here, much like the Nikon D500 has finally replaced the D300. Four thirds lenses will always perform slower/poorer compared to native m43 lenses on latest generation Olympus cameras. If you are looking perfect fast and nice replacement for E-5, consider fact, that it’s time to move to m43 lenses for best performance. But I think now you see why I say general reviews are largely pointless unless they’re evaluating suitability for a specific purpose…so I guess in a way the popular crowd are right: ‘everything is awesome!’ but simultaneously still not useful. 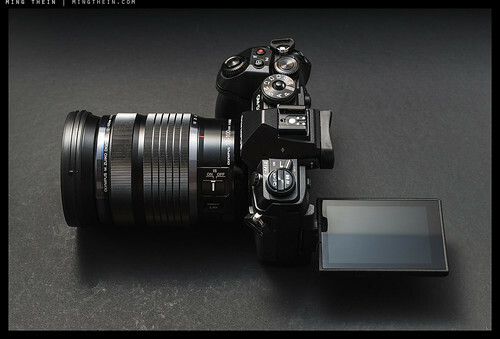 Great pictures and as usual, a succinct review and analysis of the EM1-II. But despite the obvious improvements, the fact remains, the M43 system trades-off iQ for its compact size and weight. Arguably, Olympus and Panasonic have now added yet another constraint to the M43 system, (uncompetitive) pricing. The Olympus EM1-II and Panasonic GH4 (and soon to be released GH5) are now encroaching into the price range of full-frame cameras (it’s certainly well within the price range of APSC cameras), while iQ hasn’t quite kept pace with the price increase. Perhaps it’s time to bear a little more weight for better iQ. Thanks for yet another great review Ming. I guess my GAS must be in remission, because I studied your photos and skimmed your copy. I’m really curious about the second last shot: how did you create the disappearing man? 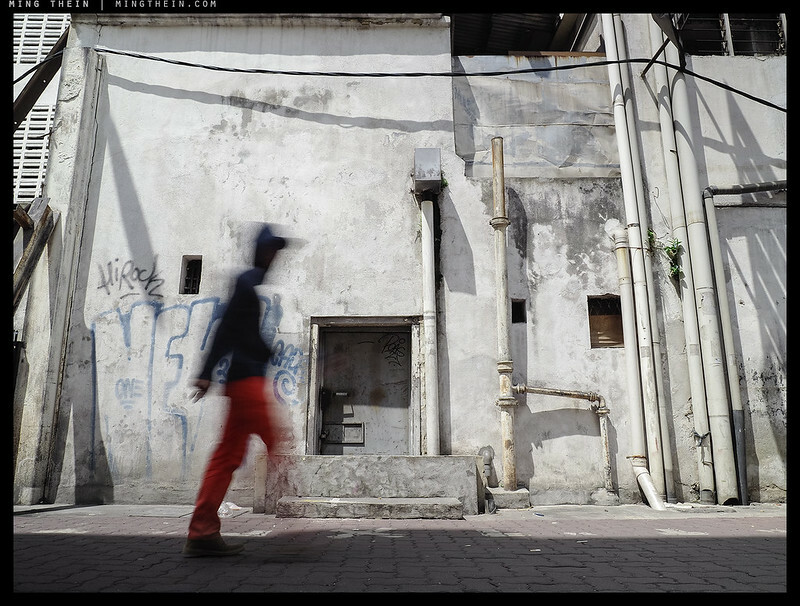 Long exposure; walking isn’t actually a continuous-speed activity, but more wavelike. That change in speed creates the effect of some bits being temporal and the edges fading out. Ahh, now I understand. Thanks for explaining it Ming. Could you address the issues mentioned in that discussion? If you summarise them here, sure. Hey Ming I would be interested too. I would say that nobody there was able to “explain” what you meant. So please would you mind making it a bit more clear ? Honestly, because the DPR forums are not exactly filled with people who take photographs and know what they’re talking about. Those people are actually…out taking photographs. I am not questioning perspective: the angle of view is/can be made the same, barring minor projection differences (i.e. distortion, bulging, non-flat field) which are a consequence of lens design. I’m saying the the rate of change of depth of resolving power – i.e. how fast the background comes into focus or goes out of focus – is not the same on the two systems, because this is a physical/optical property that is proportional to the real focal length of the lens. It’s also not straightforward to compare because the circle of confusion is different on different sized/resolution sensors, and this must also be taken into account when calculating resolving power of the whole optical system. That said, without reading through every comment there, which I really don’t have time or inclination to do – I don’t know if this is the issue or something else. If we look at the formula for blur (see https://en.wikipedia.org/wiki/Depth_of_field in the foreground and background blur section), the derivative of blur as a function of subject distance from the camera is linearly proportional to the actual diameter of the len’s iris (focal length divided by f-stop). What this means is that blur increases faster as the iris gets bigger. In other words, if you hold the f-stop constant (eg. comparing an FF 50/1.2 to an m43 25/1.2), the blur radius of the 50mm lens will increase twice as fast over the same distance as the 25mm lens. IOW, what Ming said. N= f/D where f is the focal length, and D is the diameter of the entrance pupil (effective aperture). “…the rate of change of depth of resolving power” and that when their format ‘equivalence’ is taken into account they “focus ramp” (Kirk Tuck’s words at https://visualsciencelab.blogspot.com/2016/06/a-few-thoughts-on-new-hasselblad-medium.html ) at the same rate. Tuck would seem to be saying that the ramping he observed for 6cmx6cm film was more abrupt than with MF digital (43.8 x 32.9mm for Hassy xd1, Pentax and 53.7 x 40.4mm for PhaseOne) and certainly more pronounced than with FF 35mm — because of the longer focal lengths required for the larger formats. Is there any evidence to support the idea that two lenses which differ solely in focal length (comparing a 150mm f5.6 Symmar to a 300 mm f5.6 Symmar) differ in their ‘ramping’ when format equivalence is taken into account? As for circles of confusion — don’t smaller format lens designers strive for smaller circles in order to match the resolution of larger formats whose lenses have larger circles but require less enlargement? Circles of confusion are a function of the resolving medium, so in this case – pixel pitch. It’s also related to why high resolution digital systems have less apparently in critical focus than low resolution ones (plus effects of diffraction etc). Jeff, the formula for lens blur includes magnification, and I assumed that we held that constant between the two lenses we’re comparing, ie. same framing. The comparison wouldn’t make sense otherwise. Sorry but we are not talking here about 50mm F1.2 vs 25mm F1.2 but 50mm F2.4 vs 25mm F1.2. These should be equal or very very similar when talking about DOF. The only difference is in an aspect ratio. When shooting in a landscape oriantation 3/2 has an advantage here. But that’s just all. Yes we can talk about a pixel size and an influence of a sharpness that influences DOF psychology. But well Ming do you see a real difference in your photos between 2.4 FF and 1.2 m43 ?? That’s what was my question all about. Yes. For a given resolution and magnification, depth of field is the same – i.e. 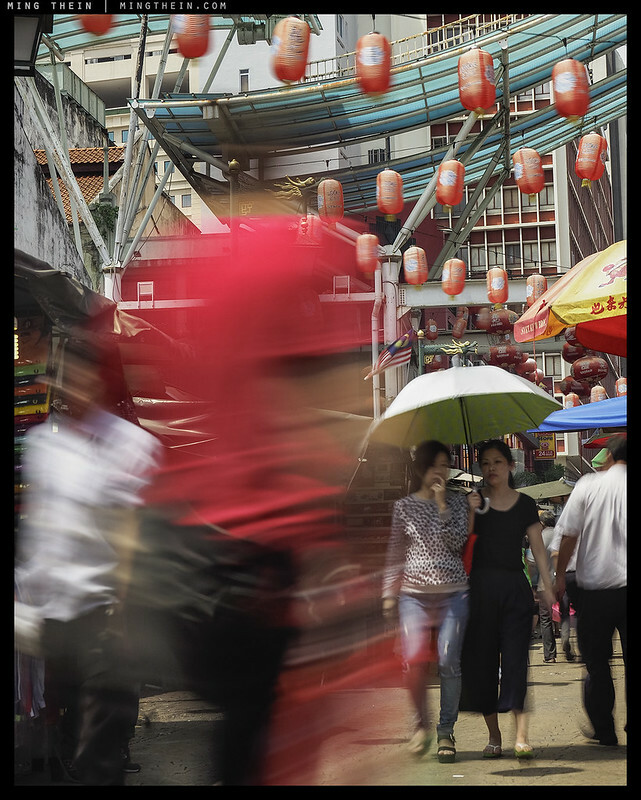 distance x to distance y in critical focus – but the background falls off faster/ blurs more with the larger format. 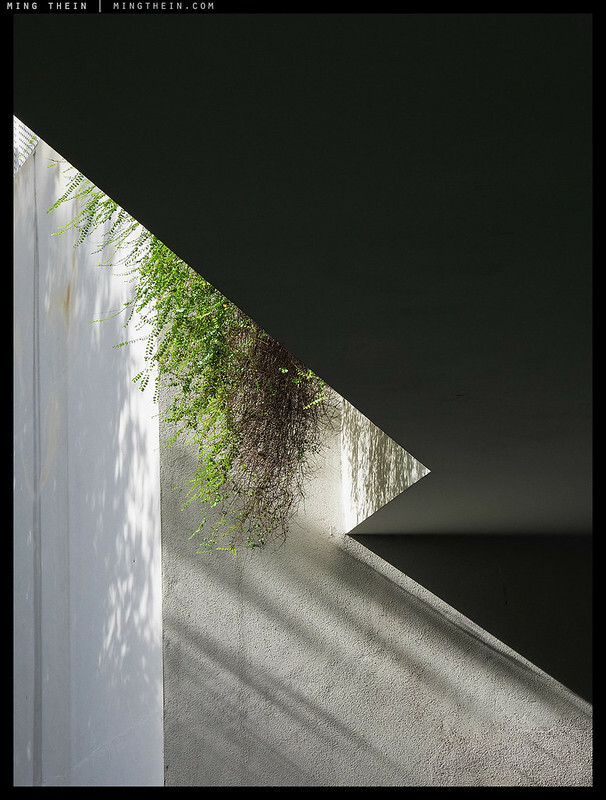 There is no visual quality of an image that depends on the real focal length, what matters is the angle of view and the aperture diameter. The focal length gives you a larger aperture diameter at a given f/stop, but if you use the equivalent f/stop (same aperture diameter) at the same angle of view, you will get the same DOF, the same background blur, and the same transitions. There is a simple mathematical relationship between blur and aperture that transitions are not exempt from, and anyone claiming otherwise should provide images that demonstrate their claim. 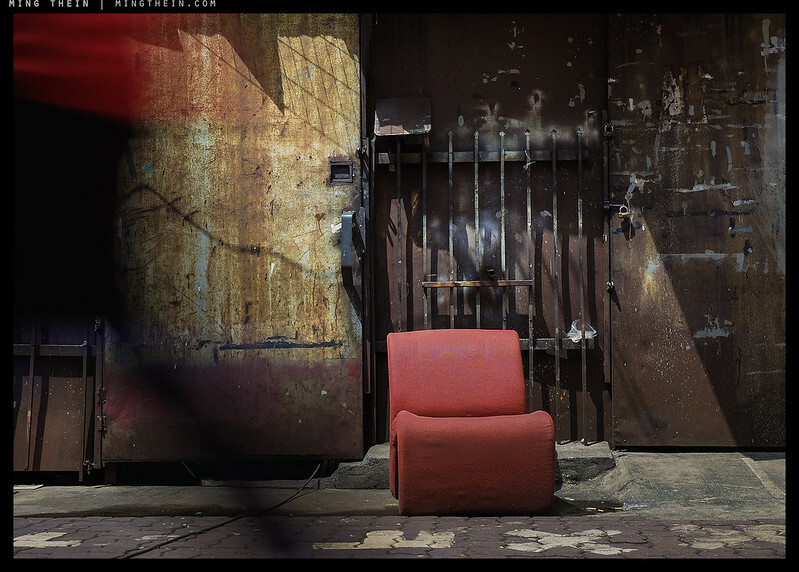 Outstanding images Ming … love the red chair. First time I’ve looked at a static image and thought; “pandemonium!”. Forget about sensor size, resolution and incremental improvements, the mark II with that 12-100 PRO sync IBIS just seems like a whole lotta fun to shoot with?!? Thanks. Yes, it was enjoyable to shoot – you have a high feeling of confidence of getting the shot you want. This camera will sell for $2499 in Canada. As good as many of Olympus’ lenses are, and as impressive as many of the E-M1 Mark II’s specific technologies are, $2499 is just FAR too much money for a m4/3 sensor…particularly one that provides IQ that’s only negligibly better than its predecessor. As you mentioned, that pushes it into D500/D750 territory; both supremely capable DSLRs that offer significant IQ advantages (and I’m speaking not just about resolution, but also about tonal reproduction and depth). Without next gen sensor technology to take us past the current plateau, I think Olympus has hit a bit of a functional wall. I doubt this camera will do a lot of volume, at least not at its inaugural price. It’s a shame, because it’s a very, very capable camera. But the price…! It is kinda of a shame, because Olympus has a lot of things dialed in very, very well … and some feature sets that no-one else has. I continue to believe, however, that if we do get a new breakthrough in sensor technology (organic, geomembrane, or whatever it ends up being), Olympus could suddenly be better positioned than almost anyone else … because they’ve now gotten all the other stuff buttoned down, and would suddenly have an extremely potent and desirable SMALL system. Except those sensor improvements would probably also apply to larger silicon, and we’re back to square one. Arguably, we’d probably see the technology show up in the most profitable (for the sensor makers) segments first – phones, perhaps FF/APSC. MF and 4/3 would be lower down the list. Actually, I think they may begin in the smaller sensors and then work their way up. And, yes, the tech could likely be applied to FF sensors, but I think that takes us back to the sufficiency concept again. If new tech can make a m4/3 sensor perform as well as today’s state-of-the-art FF sensors, then I think the equation shifts back to size and weight suddenly becoming more valuable and desirable, with the FF variants providing IQ well beyond what’s necessary for all but the most extreme needs. Except there’s a logical break here: you’re assuming that today’s FF sensors are the benchmark for sufficiency, when in fact they’re way past already. So it may be a somewhat moot argument: if people already can’t deploy what they can get now, how do you justify or sell them more? By making the same thing faster and shinier…Or do what Canon/Nikon does and disable some features and create tiers so that people have an upgrade path. Marketing tells them it’s not their skill but rather their equipment. If only they have that faster body with that “newer” sensor, then their photos would be exponentially better. You definitely won’t be. Image a print ad by Nikon (taken with a FF sensor of course) “It’s not us, it’s you”. Sites like DPReview and many others gear oriented sites won’t exist if it’s about user error. People are hung up about using the latest sensor technology for their Florida vacation with the kids that they’ll post on Facebook. In all seriousness, here’s an idea worth exploring. If Olympus really believe that their sensor/IQ is good enough which is for the most part true. They should be offering free lessons for each EM1 MKII they sell so that people can take full advantage of the body that they just spent a good deal of money on. Olympus can offer a free workshop with a local working Pro (ideally using Olympus gear) to improve the knowledge and skills. It’s a win win situation. The customer gets a firmware upgrade and Olympus gives something back for the ones that are willing to spend the money on the flagship model. Actually, that would be a very clever campaign – much like Apple’s ‘shot on iPhone’ thing. The image grabs you, the rest is secondary. Result: you want a camera anyway. But sometimes you do need an extra pedal. It depends on what type of photography you’re doing. Nick Brandt, for example, couldn’t hope to shoot the sort of projects he does and accomplish the same results with a m4/3 camera. As always, it depends upon what you’re doing. Nick’s final output are 9ft prints though…again, it comes back down to output intention. By giving them a better mousetrap in a smaller package. What I’m saying is that today’s m4/3 sensors probably are NOT sufficient for the widest array of shooting scenarios, in the way that today’s FF sensors are. Why does m4/3 have to be compared to FF anyway? Do people compare the iPhone sensor to FF? Or 1″ sensors to FF? The RX1r has a FF sensor and it’s physically smaller than the EM1 but that doesn’t mean it’s a better camera. Maybe better IQ but it’s not a better camera. It’s not always about IQ or size. I use whatever suits the task at hand. Sometimes the RX1r is even too big and I use my phone. That doesn’t mean that there’s isn’t room for both. For most users they don’t need the sensor to be sufficient for the widest array of shooting scenarios because it doesn’t matter. They’re not working for National Geographic in the Himylanyans one week and the Amazon rain forests the next week. For the Pros, they end up using whatever pays them. Ming uses MF but you can argue that it’s not sufficient for the widest array of shooting scenarios either. Someone shooting for the NBA wouldn’t be using anything than Canon or Nikon. So all of this just becomes an academic exercise. I would argue that Olympus isn’t really go for the Pro market as much as they are going for the advanced amateur/ weekend Pro (Olympus Ambassadors notwithstanding). That’s where the bulk of the sales are. If IQ was the ultimate deciding factor, Nikon and Canon would be taking their AF technology and make MF bodies but they’re not. 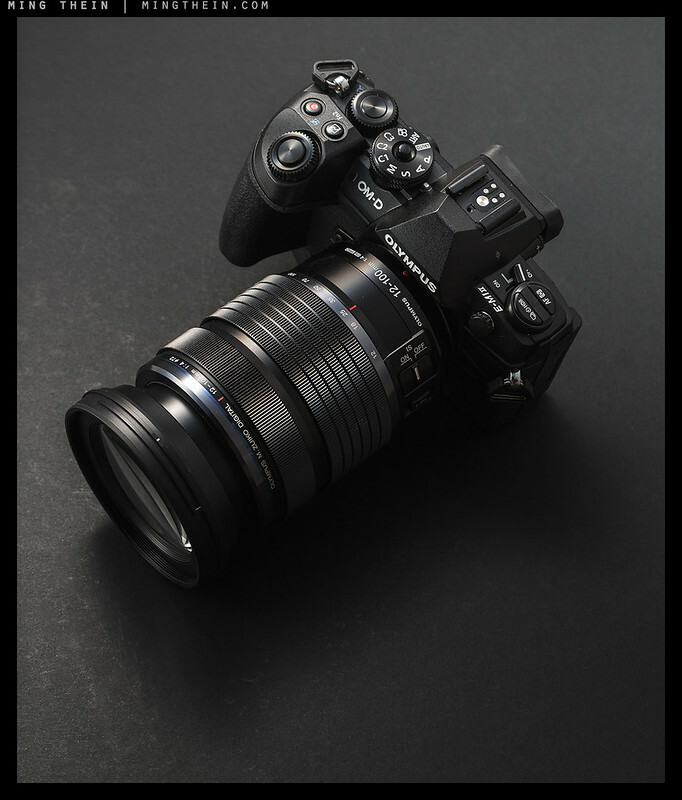 Would this new Olympus make you go back to shooting m4/3 as your primary system Ming? In term of image quality, does micro 4/3 still hold a competitive place when compared to the mirrorless aps-c and full frame? I read somewhere in your article where you mentioned technology had moved on, size and quality of m43 was no longer hold. Do you still think Olympus is still a smart choice? That depends as always on your output intention. A cameraphone is enough for social media sharing, but if you’re making 9ft prints then you’re probably going to have to stitch even with medium format. M4/3 remains good enough, and under ideal conditions probably isn’t that different to the 20MP APSC and FF cameras. 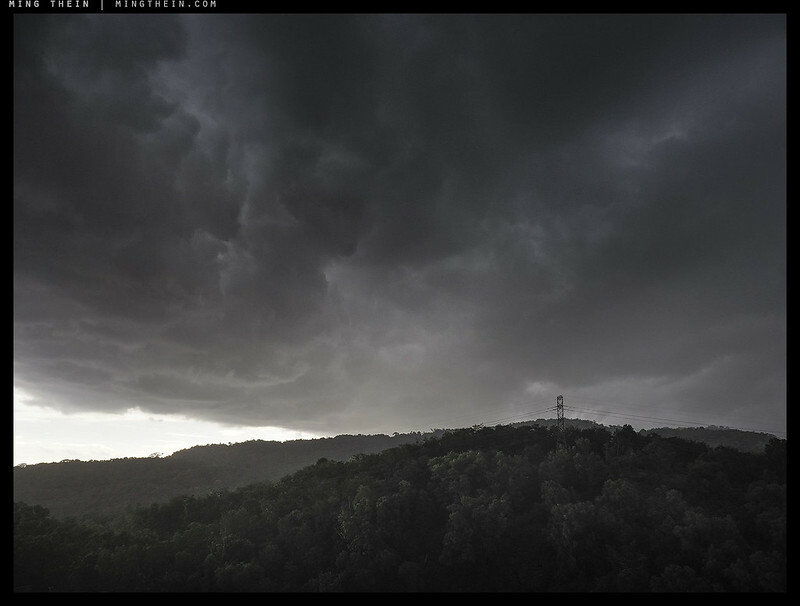 But it gets left behind in high dynamic range situations or where you need high ISOs. Granted, faster lenses and stabilisers help, but the latter won’t won’t stop subject motion. Bottom line: the price is what makes me hesitate. As I said before, unless you really need some of the specific features, image quality improvement over the last generation is not going to be the reason you buy this camera. Question: What is a comparable system (not 4/3rds, D-SLR or medium format) to this Olympus E-Mi Mark II with 12-100mm lens in using it for IS, weather sealing, and the sharpness of shots coming out of it? 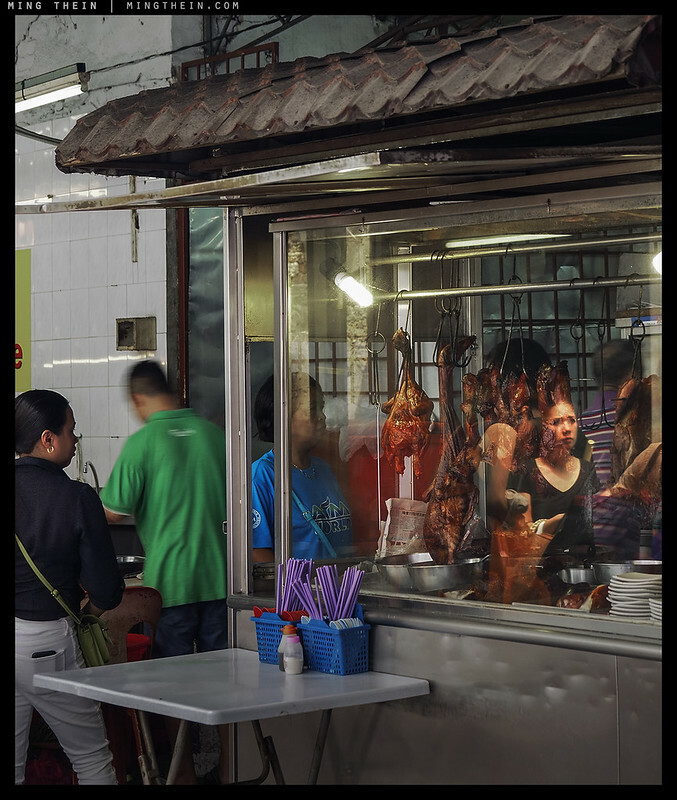 Something in APS-C (second choice in full frame but not D-SLR) for its ability to get better shots in low light and more dynamic range? What would be your choice of system? I think Olympus made a lovely camera here, but it is too expensive and the sensor wouldn’t hold up to pro use, like you said. Trying to find a solution that isn’t a D-SLR, but shoots as nice as this new version in a bigger sensor than 4/3rds. Just curious what the choices you would pick if you exclude Medium format, D-SLRs and 4/3rds. What’s left that you think is up to snuff? There isn’t anything. The closest I can think of is a D750 and 24-120/4 VR, but that doesn’t fit your requirements. Well, currently I am using Fuji, and wondered if it would be better to opt for the this Olympus instead? I think the APS-C sensor has the edge on the Fuji, but the performance of this Olympus probably beats the Fuji X-T2? Or am I wrong? How large can you print with this Olympus camera in its regular 20mp mode? I like the Fuji X, but I don’t love it. I think the Olympus camera does many things well, and I like the sharp photos coming out of it. I especially like that 12-100mm zoom. I like the colors and especially the monochromes when converted from RAW coming out of that Olympus. I am not so keen on the X-Trans sensor, and I shoot RAW so the JPEG film modes on the Fuji are wasted on me. My concern is going backward in sensor-size. Would this be a concern? Also, does Olympus have a good support for their customers like Fuji does? Haven’t used the X-T2, sorry. Support varies by region. And don’t underestimate how much the dual stabiliser opens up your shooting envelope/ claws back performance – it’s easily 4-5 stops with the 12-100, which means ISO 200 (base) vs ISO 3200-6400 on an unstabilized system. I’m not worried about getting lower shutter speeds to get lower ISOs, unless I’m shooting someone moving indoors. That might factor in and I may be forced to increase the ISO to gain that shutter speed to stop movement. I’m wondering what the biggest size print can come from the Olympus VS the Fuji APS-C system. Also, the price of that camera is so much higher than what it should be, even with its features. Do you think it’s worth the cost for that size sensor? Can this be used professionally at this moment in time? If I were to bring this on a job, would it be frowned upon compared to using it years ago when they first came out? This camera has a lot of features that would be perfect for that. My only grip is that small sensor and really how much can be eked out of it in a print and dynamic range. Sorry to keep asking, it’s just a lot of money. I’m not invested in Nikon anymore. Too much to carry with this old body. My eyes need good AF as well. I rely on it, even with my glasses on. I still shoot events, but not as many. I think full frame is overkill for that. 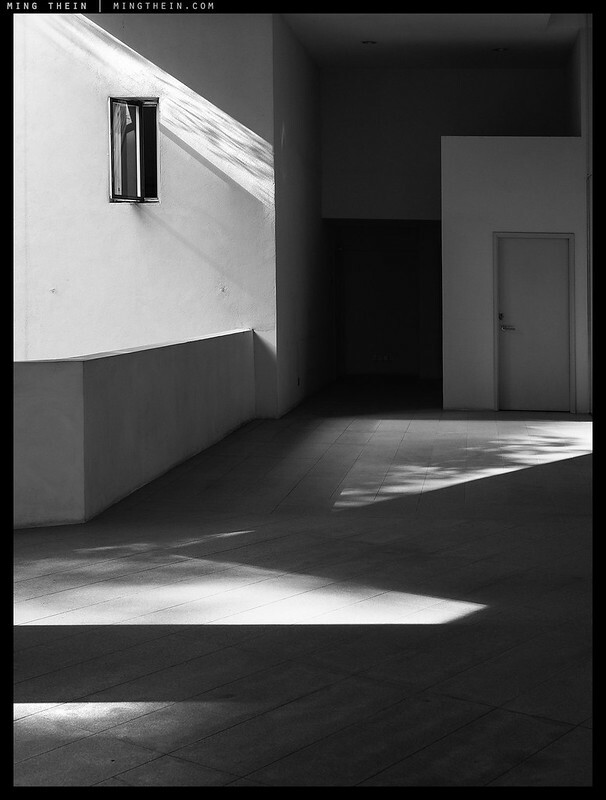 But, I do also like to shoot landscape and architecture, and street. Also, I shoot dog and horse photography. I know the olympus system can handle of this, but can the prints be big enough to satisfy the client? What size do they fall apartt? d) I can’t answer the question of ‘are the prints big enough’ without knowing know what the client’s expectations are – every one is probably different, too. And it depends on your shooting technique: a 100MP file doesn’t always have 100MP of information if you were shaky. I don’t work full time in photography anymore. I do jobs once in a while as I am pretty much retired. I used to shoot film exclusively. Now it’s all digital. I know how to handle a client, and I’ve shot with film cameras that weren’t considered professional either. I don’t know about working as a pro in the digital world, though I’ve had many different digital cameras. I’ve sold many shots, but it is not my full time job now. I just want a camera that handles well in many subjects, has available sharp lenses and can print big. On the occasion that I shoot events or other jobs, I want to know that the gear will measure up. The Nikon did this well, but I don’t want to carry a big D-SLR around anymore. I have to rely on the quality of this gear in smaller size. I have to rely on the AF as well. (My eyes are not as good now) If the Olympus can do all that, and I don’t have to carry around Nikon gear anymore, then I’m all for it. Then either camera will do fine for you. Thank you for your input, Ming. As always, love your reviews. For many years I’ve gone into galleries with pro Tom Mangelson’s wildlife and nature work. It is obvious when he used top Nikon bodies versus medium format. You only have to glance at the picture to know which body was used. This doesn’t require anything other than your feet and eyes. And he sold thousands of prints for big $s. Right tool for the job and all that: not at all surprising because medium format doesn’t lend itself well to wildlife. And more proof the operator matters more than the camera in this business. Well Tom Mangelson shot 50% medium format 6 x 7 format and sold moregallery pictures than almost all pros. He had 6 galleries around the US for nature and wildlife. Don’t forget Galen Rowell with his 35mm Nikon cameras. Loved his work too! In your review you said: “But what I can say is that between EFC or full E-shutter (I didn’t use the regular shutter; there wasn’t any need to) shutter shock is a non-issue, and trust me, I was looking for it.” Can you add some clarification on what you were really telling us in this quote. Since you were strictly using the electronic shutter mode, I could only think that you were simply saying that shutter shock is not an issue if you use the electronic shutter. But, then I don’t know what you meant when you said: “trust me, I was looking for it.” I learned from another reviewer that “Olympus says they have almost eliminated Rolling Shutter effects [for electronic shutter mode]. Their words were “Best treatment of Rolling Shutter out of any camera made as of 11/2016″. Was rolling shutter what you were looking for? Thank you taking the time to reply. Rolling shutter and shutter shock are not the same thing. Rolling shutter is a video artefact where vertical lines are rendered curved arcs when panning because the readout rate of the sensor isn’t fast enough (the sensor is read incrementally top to bottom or bottom to top). Shutter shock is where you get a double or blurred image from vibration of the shutter mechanism opening. I did not comment on rolling shutter as it wasn’t an obvious issue in the limited video testing I did. I did not see vibration caused by the shutter mechanism in still images during the course of testing. I know that rolling shutter [electronic shutter mode] and shutter shock [mechanical shutter mode] are completely different. I only do still photography and not video. What I didn’t understand in your blog was when you mentioned shutter shock and that you were looking for it when it should not be applicable for electronic shutter mode, which is what you used throughout your testing. Sorry, your comment seemed to confuse the two so I wasn’t sure. No, shutter shock doesn’t apply for electronic shutter, but it doesn’t mean I didn’t specifically test for it with the mechanical shutter. I chose to use electronic first curtain shutter during most of my shooting with the camera since I didn’t need flash sync from the mechanical shutter, and why take chances? Rolling shutter doesn’t apply to stills. On EM5.2 I can sync with external flashes in both the full mechanical as well as the EFC mode (the diamond icon). Only full electronic produces a thin band of light. There may also be color shifts in the non-mechanical options…depends on the stability of your flashes, though. Color shifts as a result of a sensor being exposed for a slightly different duration? But wouldn’t it manifest as a slightly different exposure over the individual portions of the frame as well? No, flash tube temperature changes with duration. Better flashes have more stable color temperature for longer durations/ higher power. But flash duration should be constant if the only difference is Full Mechanical Shutter, or EFC? Hmm, no Reply button on your last comment. And this could only manifest itself when using flashes, not constant light? Both, actually – not all constant light is constant (fluros cycle with the power frequency, for example) and flashes emit different light at different times in the firing process – this is a big deal with the fast duration stuff. Guess I’m lucky with using small Nikon flashes. Definitely have noticed the fluro striping effect, will watch for color shifts when shooting strobe. Thanks! I think we nested too many comments! You may not notice the color shifts unless you have a uniform subject. > Guess I’m lucky with using small Nikon flashes. Definitely have noticed the fluro striping effect, will watch for color shifts when shooting strobe. Thanks! Hmm, I only noticed the fluro striping effect on full electronic shutter, EFC completely reliably fixes it for me. Should I still wary that the fixing is not complete? There shouldn’t be striping on EFC only as the readout isn’t rolling. Thank for the clarification that you actually did test the mechanical shutter in the EM1.2, and apparently, you did not experience any shutter shock. We know that Olympus improved the camera design to reduce the possibility of mechanical shutter shock. How low a shutter speed did you try in mechanical shutter mode to confirm no shutter shock? From articles and my own experience with the original EM1, you will see rolling shutter issues with stills if say your subject was a functioning electric fan. Mechanical shutter: down to about 1/50th or so. Rolling shutter: Ah, now I understand where you’re coming from. Not often that one has those kinds of subjects; the bigger problem with full e shutter is bands of shifting white balance with any lights that phase with the power supply – i.e. all fluor and a lot of LEDs. Sensor readout still isn’t fast enough to be completely synchronous. That third photo with the door and shadows is a delight! An intersting review, and it sounds like quite a camera – but the size … That puts it up against FF and that is tough company. Thanks. Yes, it’s a tough swallow at price and size, but the stabiliser allows for some creative possibilities that simply aren’t there with FF (at least not any FF I’ve used; Sony’s IBIS is a bit of a joke). You must not have read the replies and only read the review? u4/3 sensors compared to FF or APS-C is no comparison. It’s thin, contrasty, poor dynamic range, high ISO performance, and just about everything else you can measure. For the same price, you can get a Fuji X-T2, Nikon D500, Pentax, Sony A7r, A6500, many Canon different models. Basically any model with a bigger sensor and you’ll be better in IQ. I’m speaking relative to the competition, from a market analysis point of view. 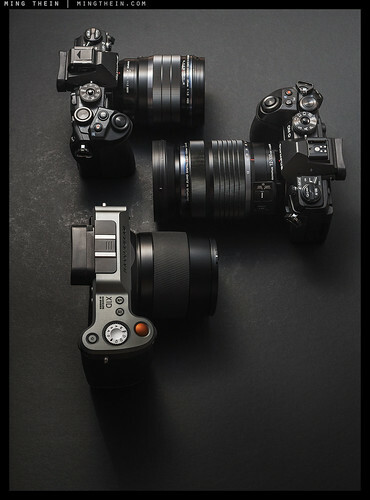 Remember you’re also talking to somebody who has four digital Hasselblads…I don’t cut corners. 18fps RAW, 60fps full resolution JPEG? 60fps raw is with electronic shutter only. Exceptional images Ming ! The motions in those images are just really good. Just a side note concerning the Hasselblad videos, the content was as good and precise as your learning videos but the quality of the videos wasn’t that good, they didn’t feel 1080p’ish and there was a quite noticeable level of noise. Forgot to mention that maybe in the high iso range, the EM1.2 might not be the ideal video camera out there. I think he meant the other videos: https://www.youtube.com/watch?v=k0CH69Tk_Yk — notebook screen is very chunky w/ blown highlights, https://www.youtube.com/watch?v=WQO3hVku9vU — and camera screen also doesn’t match the quality of what’s outside of the screen. Guess it’s pretty hard to balance external lighting with what’s on the screen. Ah yes – lower brightness and lose color/detail, increase ambient and same thing. The color temperature of the screens was a problem (hence video out in one portion). “it still has the depth of field transition properties of a real 25mm focal length, not 50; the whole idea of ‘equivalence’ to a 50/2.5 on FF is moot because the falloff in the transition zones isn’t what you’d expect it to be”. Could you explain a little more about that? 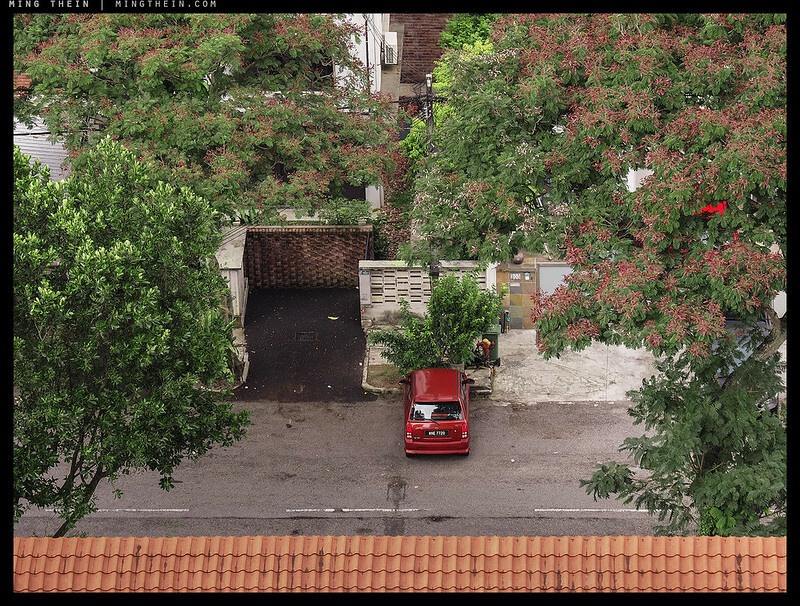 Focal length does not change with crop factor. Depth of field and rate of change of resolving power with distance (i.e. the speed with which a lens falls in/out of focus) is a fixed physical property of aperture and real focal length. So, even though a 25mm lens on M4/3 gives a 50mm equivalent FOV on a FF camera, it doesn’t have the same depth of field at a given aperture equivalent, or rendering properties. Thanks. I agree with you about the difference in “look”. I have often thought about it, but never understod why. The idea that focal length has an impact on depth of field seems to go against pretty much everything I’ve read on the subject. Maybe some time you could post a few example images that demonstrate the effect you’re talking about? Shoot a 12mm lens at f8 and 1m subject distance, and do the same with a 100mm lens. My understanding is that it’s the magnification that makes the difference, not the focal length. Obviously at the same subject distance the longer lens will capture a higher magnification image, with much less in frame, and therefore the depth of field will be much narrower. However, step back with the 100mm lens until the subject is framed the same, at the same magnification, and both the 12mm and the 100mm lenses should create images with the same depth of field. The overall image, and especially any out of focus background, will look different because of the different perspective, but from what I’ve seen the depth of field captured will be the same. People talking about equivalence, like when comparing a 25mm lens on micro four thirds with a 50mm lens on full frame, are generally comparing them with the same framing. The 25mm depth of field is greater because the subject is filling a smaller sensor and therefore the magnification is lower, not because of the difference in focal length. Change to equivalent apertures, e.g. f/1.4 on the micro four thirds camera and f/2.8 on the full frame camera, and everything I’ve read indicates that both should have the same depth of field. If I’ve read what you’ve written correctly, you’re saying that the above scenario wouldn’t result in equal depth of field due to the differing real focal length of the 25mm/50mm lenses. That’s the controversial thing here, and that’s what I’d like to see demonstrated in actual images. I’ll do it when I have the time, which right now, I don’t. But I can tell you there is a difference visually. As a long time reader of your blog I’m very thankful that you review gear from time to time. Your honest, no-nonse, and clinical reviews are unique versus the sponsored over-the-top reviews others are referring. You led me to m43 years ago and for my purposes, this format is well beyond good enough. Thanks again. Actually, I felt pretty positive about the camera (and I think the review showed that). There wasn’t anything wrong with it, it has some useful and unique features, but it isn’t a quantum leap ahead in image quality. They probably won’t be sending me to Iceland, but then again, I’m not particularly interested in an EM5.3 either. Well who knows, Olympus may have a MF on the drawing board to compete with the Fuji and Hassy with an exclusive eval in Cuba 😉 best not to burn any bridges. Didn’t Hassy roll out the red carpet for you? Shame on them if they didn’t. Still wouldn’t go, for the same reasons I explained earlier. Take it as a compliment they didn’t fly you to Iceland, they’d only have done so if there were a positive ROI – i.e. if doing so had substantially influenced your review. That they didn’t reflects that they think your opinion can’t be bought! I have been keeping an eye on the EM1.2, so I read your review with interest (and always enjoy your KL pictures) but I think the Panasonics are just much better value for money. I’d rather compromise a little on features but put the cost difference towards saving for a MF body…. Not just Malaysia, almost zero presence anywhere outside Japan, as far as I can tell… and yes, the GM5 is really great (I bought 2), although I suspect it might have lost a lot of the “traditionalists wanting a small but fully functional camera” market with different controls – I think the people just wanting the smallest possible went for the GM1 instead. Actually I would love to hear any camera company try to justify their market segmentation and why different models get different features – other than the top end “throw every feature at it and charge twice the competition” (the EM1.2), I don’t really see any logic at all in the other models…. I’d be interested in your observations of how the multi-shot high resolution modes work, comparing Hasselblad’s 4 and 6 shot superresolution with the Olympus 8-shot approach. Did you save a few in a (probably) 80 MPx raw form from the E-M1.2 for future study? Has Olympus ever told you what chip movements are used to make up the 8 shots? The 4-shot version that Hasselblad has used for some time sounds like just shooting with each Bayer filter over the same pixel location. Beyond that may be different inventions in each camera. What artifacts and what required sharpening do you see in each approach? Two days in Iceland in October (and at least two days to get there and back) sounds like work, not play. I doubt that they got more than 50 km away from the airport. But I can respect the effort that David Farkas put in to do a Leica S report a while back at his own (business, deductible) expense. He spent about two weeks there, with his own transport and camping gear. I did, but the hiccup is that a) you can only open those files in their own proprietary software, which produces results that are pretty much the same as the camera JPEGs (and we know the raw files contain more information than that, given how other RAWs convert) and b) there’s no way of doing this. I also don’t have access to a Hasselblad multishot (and have never used one) – there simply aren’t any in this part of the world. I’d imagine the underlying approach is the same, though – with the 50MS giving RGB data at each photo site a la Foveon, and the 200MS with some interpolation and additional shift. I do know Hasselblad uses a piezo actuator to shift the sensor rather than the IBIS magnets. (No IBIS on MF, obviously.) From what I understand, Olympus takes a set of 4 images offset by one pixel, and then a second set of four offset by a further half pixel. Earlier results from the EM5.2’s pixel shift high res mode were better than a single capture, but nowhere near the claimed 40MP equivalence – a single 36MP D810 capture had more detail, though the EM5.2 had slightly more accurate color due to the oversampling. Iceland: and the results made it look like drudge work, too. But you still have to ask, if it’s work: why go if it isn’t paid? As for Farkas, I have no idea what his relationship with Leica is (though I think he is a dealer or represents one) but as I said in a previous comment: if you’re going to put down your own money doing it, that’s a different thing entirely and far more credible. Farkas is a dealer. I think his family has always been Leica Store Miami, so while he does interesting things (e.g. his CCD vs CMOS comparisons) at his own expense, it is clearly a business expense. More power to him. He’s probably also the expert to consult on getting 4K video out of the SL using the super 35 (8 MPx) sensor area and T or cine lenses. My best guess of what Olympus does with its eight shots is what you suggest. Two sets of four Bayer filters brought to the same location, the second set displaced by half a pixel spacing in both x and y directions. The secret sauce is how they reduce the 8 shots to four times the original number of raw pixels. Afterwards, you need to sharpen. Understanding what they are doing would help to determine the best controls to use. Half the usual radius? Half the threshold? My experiments with the 64 MP files from my EM5.2 suggest doing something like this. As for sharpening – I have to look at the files first, and just have some sort of intuitive understanding from there. The 5.2 HR mode needed downsizing and/or a lot of passes with progressively smaller radii, depending on the subject matter. thank you very much for your efforts in sharing your insights regarding the M1.2. It’s very much appreciated. Looking at the photographs you have shown here I must say that I find them to be awesome. What a nice bit of street photography. The blend of crisp still life with the blur of moving human elements is beautiful. Just FYI Ming a number of commenters at DPR have already referred those interested in the camera to your article and images here. Really like what you’ve got out of this from such a short time with the camera especially in JPEG only, a serious piece of kit given the build, weather-proofing, IBIS, FPS and video capability. You lost me at the Porsche… that aside you still run the best reviews! Sadly not good enough otherwise it would be my Porsche! Thank you for a very balanced and intelligent review. The new body and new lens seem a great combo! As a EM-5 user I consider an upgrade, but I am not sure where to start: the new body or the new 12-100 zoom? What would be your suggestion? Honestly – probably the lens. I personally would get more out of that flexibility/range/quality combination from an image-making perspective than a few more incremental features (unless video matters to you). Thank you for the honest, photographer’s review, and for cutting through the marketing hyperbole (IMHO Olympus being the biggest culprit). I’ve read so many outlandish claims by Olympus and bloggers/shills of ground-breaking image quality improvements from the EM1.2, yet the truth seems far more pedestrian. Olympus and gang made similar grand claims re: 16MP and EM5/EM1, but I saw far more modest improvements in my own testing and findings–plenty of noise at ISO 800+ in RAW but with much improved noise reduction algorithms with each new generation (more processing power, I suppose, same with Nikon, Leica, et al.). 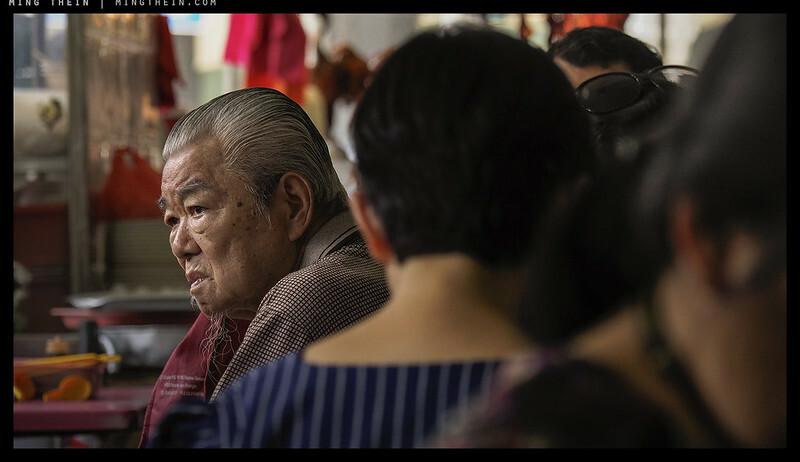 I do use Olympus m43 because of the size and weight advantage, accepting that there are limitations and compromises with every format, media and technology. Great work! Bottom line: it’s better, and in some areas a significant leap (speed, video, AF, stabiliser) but as far as I can see: IQ is incremental. Again, we have to wait for raw converters to be available though…otherwise as much is decided by the engineers’ processing choices as the underlying hardware. Apparently… “Then “Thein” is delusional or jealous. NO ONE is EVER paid to do these trips”. Personally I think this response is cleverly worded. Were they making a wage? Probably not, however were accommodations, food, potentially flights comped? I would believe so, otherwise why would a photoblogger spend thousands of dollars out of their own pockets for a couple day trip to miserable locations. What also erks me is the camera is geared to pro sports/wildlife photography yet the only thing photographed was landscapes in okay to good light. Thanks for your honest review Ming. 1. I have more profitable things to do with my time. Company X may be covering expenses, but even if they’re paying it won’t be anywhere near worth my while to burn the better part of a week of opportunity cost and lost income ‘experiencing’ their product. This alone should be a sign that either the trips are at very least paid for in kind (ads, sponsorships, free gear, outright $$$) or the time of the reviewers is not worth very much – which then leads you to question the value of their ‘expert’ opinions since nobody else is willing to pay for their expertise. 2. My integrity and reputation is worth far more than a free trip to wherever. I can go myself if I want. But I can’t re-buy trust once you’re known to have a price. Maybe it doesn’t matter to some. 3. Actually, I’d say that if somebody is willing to spend their own money and time to test something, you’re more likely to get an opinion that’s not influenced by the manufacturer. It may be fanboyish and seeking affirmation (“I spent $$$$ on camera and trip, it must be great!”) but requires a significant level of investment on the part of the author. Nicely summed up, and I totally agree; especially the last part of 1. – too many very average photographers happy to be bussesd around to support their blogs, and no ability to make any other income. Since you were shooting jpegs only – what about white balance? Did you trust the auto white balance or did you do a manual white balance measurement? I’m asking because I’ve always found the white balance in your images very good. Perhaps slightly “cinematic” rather than natural (if this makes sense; not intended as criticism). I used auto, but adjusted as necessary afterwards – the usual degree of correction was required; nothing exceptionally good or bad. Cinematic shifts are deliberate; I can of course do 100% neutral, but it can come across as somewhat odd unless it’s truly neutral (and very difficult to do with small sensors as individual channels frequently clip). Another very informative review! I find it intriguing that you find the 12-100mm F/4 to be more useful than the 12-40mm F/2.8. Certainly a zoom ratio of 1:8 1/3 is more than twice that of one of 1:3 1/3. However, I must echo the question of the previous member who inquired about the quality difference between the two zooms, even though I am aware the ultimate qualitative comparison awaits the advent of the ACR software for the M1 Mk II. No compromises as far as I can tell. Remember that designing a good but slower lens is much easier than a faster but more restricted one…significantly so, according to the Zeiss chaps. For a given resolving power, slow primes are easy. Fast zooms sit at the other far end of the scale. Thank you for your, as always, honest and open reviews. I shoot with both Nikon D800 and EM1/EM5 MK II with lenses fully vested in both systems and have been waiting to buy an crop sensor action camera for replacing my old D300. While the AF does seem improved in the updated EM1.2, Your comment that the AF is now on par with the Nikon 39 AF point systems, ie. D5300, really hit home. So today I placed an order for the D500 and at $1,799 it is now $200 less than the new EM1. I already have Nikons 70-200 f2.8 and 300f/4. With the Oly I have the 40-150 f2.8, so it wasn’t just the $2,000USD for the new body, but also the $2,500 for the (overpriced) Olympus 300 f4 that I would have wanted to buy. That price differential puts things into perspective. However my suspicion is you’d actually get slightly higher IQ from the E-M1.2 under most conditions because of the stabiliser, even taking VR into account. It’s probably a stop or two but enough to claw back the sensor differential. Jim, I made the same decision as you. I’d been using a D810 for some low-light action shots (dance in a studio and theater), and rented a D500 to try out. It was good, but I returned it thinking I’d wait for the Fuji X-T2 since early reports had claimed that it was comparable to the D500, and it’d be small enough to double as a small travel camera. The Fuji turned out to be a major disappointment on almost every front that had been hyped about it: AF, tracking, and responsiveness. And I didn’t think the Olympus could be that much better than the Fuji (now confirmed by Ming’s early review), the sensor would be even smaller for worse low-light quality, and rumors about its price were off-putting, so I bought a D500 a couple of weeks ago, and wondered why I hadn’t done that sooner: the responsiveness, AF accuracy, and speed are pretty much unmatched, except probably by the D5, but I haven’t used one of those. I think you’ll be very happy with your choice! Just be sure to get XQD 2.0, 2933x cards, and write only to those (as opposed to backing up to the slower SD card) for maximum speed. Thanks Ming, nice work. jpg colors are brownish and too muted though. IQ results are far from stellar. Brownish: likely to be a mix of your screen calibration (and subject matter, which was brownish in places). Muted: may be a PP choice or screen gamma. Can’t tell anything from web jpeg processed from SOOC jpeg, but that’s the best we’re going to get til there’s raw support. How’s the dynamic range compared to the Mk. I model? I remember reading a quote from Olympus that it was improved by at least a stop. And are there any significant IQ differences between the 12-100 and the 12-40? I remember you gave the last one a good assessment/review. Edit: I see now that you have answered the 12-100 vs 12-40 question in another comment, my bad. It seems better – at least in highlight rolloff – but as noted in the review there is no raw file support so I have no way of telling for sure. 12-100 has much nicer looking OOF transition areas. It has equal resolving power in all zones and FLs, as far as I can see. I suspect this lens was designed with that in mind for video, and the other one was not. It may be a stop slower, but I much prefer the rendering of the 12-100. So today I saw price of that camera. 2000$ for m4/3 body in US? Besides lot of cool technology inside price is a joke. Of course if you earn money with Oly I could imagine that you will buy it. But for normal users price is astronomical. I agree, though things photographic have been going that way for some time – the Canikon zooms are now in the $2500-3000 range; Sony GM $2500+ etc. It’s actually surprising Otuses and the like don’t cost more. Volumes are declining and the only way to stay in business is to raise prices. It feels much more acute at the traditionally cheaper end, though. I suspect we are at the start of the point where the sensor is no longer the decisively expensive component of a camera body. Yes, you are right sales volumes are decreasing. So I hope that in consequence in quality will grow. But as we can see there companies take other direction. Nikon is moving production to China. Pentax have factory in Vietnam for a long time. And I as pentax user can agree that it make some critical problem with quality (paint especially). I read a news that all sensors bigger than m4/3 are combined from smaller units. That why Sony could make so cheap 645 size sensors. You’re not the only one – the paint on my 645Z was very, very soft. And I know of a surprisingly high number of people who’ve had to send their Pentax MF gear back for repair; things that shouldn’t break like focusing motors, helicoids, shutters at low actuation counts etc. Modern large sensors are NOT combined from smaller ones – they may share the same architecture but combining sensors is not possible because of line readout architecture required for LV etc. Hi, thanks for the review and quality pictures. What about de app for saving settings. What application are you talking? Olympus Viewer or something similar that comes bundled with the camera. You have to connect it to a computer. Thanks for the insightful review. I’ m most excited the advanced stabilization features. On that note, I think the EM1.2 will be very attractive for still photographers who are interested in doing a little video but don’t want to mess with bulky rigs or other equipment. By the way, what software do you use for post-processing of video? 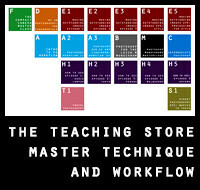 Would you consider doing an instructional video on your workflow? I know your main focus is still images, but I imagine that’s also the case for most people who frequent your website. Processing of video can get pretty complicated, and the lack of an efficient workflow has put me off. I just haven’t had the time to figure one out. It would be useful to have something produced by a still photographer that is geared for still photographers who are interested in getting into basic video. Video: Premiere Pro, and honestly, each video is different enough that I don’t think there’s a neat universal workflow for this – I find myself changing the way I work with every project simply because both inputs and outputs may be very different, and it’s a lot more hardware dependent than stills…both on the processing side and the editing/capture side. Has Dpreview contracted or asked you to review new and notable cameras? your reviews are very, and I mean very, helpful. Eh. Maybe that was for the better. In the grand scheme of things, producing timeless pictures is more valuable than writing a piece about a soon-to-be-outdated camera. Ha ! Now that’s something ! If I remember correctly, back then you had a modular pocket cam in mind. Something like the GR with a fixed 28mm. But now that you’re spending more time with medium format… your original plan might have changed (or expanded). Tiny Thein Cam or Mighty Ming Cam ? Or both, or a cross of those ? It’s probably a way off and you’ll stay mum anyway, but I’m certainly happy to know it’s still in the back of your mind, and I’m eager to see what you might announce in a couple of years. The camera market is at crossroads with a pinch of slowing sales and a dash of reluctant soul-searching from the Big Two finally giving it to high-end mirrorless. It can’t hurt to launch later until the digital dust has settled. Nonetheless I feel like the major manufacturers’ approach to ergonomics won’t really change, so there could always be room for a new entrant willing to push the boundaries in this domain. You’ve got the rare set of complementary skills to come up with a camera that could bring about practical novelty, so it’d be a waste if your plan didn’t come to fruition. None of the above, and much more quotidian. I don’t have the resources to bring any of this stuff to market anyway. I’m having a one-off mirrorless built for me with an interchangeable Hasselblad V/H rear mount, leaf shutter, in-body shift/rise, and Nikon F front mount. We already have live view and I may not even need the leaf shutter in future as they’ve hinted e-shutter is coming to the 100MP backs in future firmware. My logic is that it really lets me have the best of all systems and mission-specific interchangeability – I could have a H body as the backup, or a V body, or a Nikon, and use only the best of each system’s lenses. Many FF lenses cover more than the FF image circle (and some like the Otus 85 even cover full 645), and even if they only cover FF – a larger sensor gives you a 31x31mm square option, or 40x20mm panoramic etc. with more capture area than FF cropped. Well, that’s already a pretty interesting camera by the sound of it ! Thank you for sharing those details with us Ming, I’m certainly looking forward to seeing an article of yours presenting this unique beast once it’s ready to shoot. If it ever gets finished… at this rate, we may have moved on to other technology by then. I think the place to look for a more customizable camera is in the Android smartphone space. That’s a pure software area, so it is the area in which I would expect computational photography types (Lytro with zero extra hardware expense) and people with original ideas for the UI to play. HP tried (and failed) to bring a Linux-based camera to market almost a decade ago, but today’s multiple-lens systems are much more powerful in both hardware and software. That last, untitled, image is wonderful! Did you purposefully wait for a redshirted person to walk past to match the chair or was it a happy coincidence? One of the most gorgeous combinations of color and texture I’ve seen in a long time. But then I fixate on the blue-purple pattern on the upper back of the chair and can’t fight back the compulsion to ask: is it a stain? Or a color moire pattern introduced by the camera? Or a JPEG artifact? Would it likely not be there if worked from a raw file? Combination of a few things: wear on the chair itself, and moire from both capture and downsizing. I think likely not present in the raw file. Well Mingh, I have shot D800 side by side with the Panasonic GH4 for 10 days for landscapeshooting and the GH4 did not disappoint me at all. The opposite was true: I expected to be disappointed but found myself grabbing the GH4 more and more the first few days. After the second day it was 95% GH4 and 5% D800e…So remember what you say elsewhere: YMMV. Also: you seem to have no experience with Panasonic cams lately. Their IBIS is on par with Oly’s since GX85. Also: their DFD AF is really good at shooting sports in C-AF although tracking is not consistent at all. Other than that I find this a nice write up but feel you are a much better photographer than a reviewer, still your take and that of Robin Wong nicely differs from most other reviewers Thx for the effort! Well…you write a lot of things now that are either not verifiable nor can be assessed what percentage is affected by what you claim (“a financial incentive forces reviewers…”). It seems reasonable to suspect some influence of course. Another subjective thing is that someone is telling the truth when he bought a cam him or herself. He is only telling how he or she experienced it, but a lot of bias may still affect the outcome. We can imagine that someone coming from Panasonic with a vastly different menusystem could absolutely be disgusted with the Olympus one. But that doesn’t mean that he is telling the truth. I t could be that with that in mind he really gave the Oly less of a chance to see how it performs. So he is not telling the truth, he is giving us his subjective view and might think that it is “the truth”. Many people are completely unaware of a huge bias and think they are really objective. One are physicians who claim they now what medication does or doesn’t work based on their “experience” whereas research has shown they are mislead by their confidence in the assessments of their own skills. And that is why to my mind a review is of value when numbers, measurements show us the facts on the cam. Without them, as you yourself correctly noted, a lot hinges on the person and not the camera at all. I have personally been approached by more than one brand and refused. Make of that what you will. Yes, which is why I’ve always pointed out that EVERY review is subjective contingent on the reviewer’s needs and point of view. To claim otherwise – which many do – is utter crap. Then sorry, but you’ve come to the wrong place. I have no interest in measurements if the implementation of those specifications is unusable in practice. Nor do I have time, interest or resources to spend all day bench testing. Hi Ming, nice review as usual and your perspective comparing to other brands really help. Often times other reviewers (willfully) forget that there is competition out there and Olympus doesn’t exist in a bubble. You didn’t talk about the Super Control Panel in your review. Doesn’t that help with navigating the menu some? At least it gives access to some of the more used functions. I found the EM1 nested menu also a bit much but part of the problem with all modern electronics is the sheer volume of features that they have. The list just goes on and on. With more coming in the next firmware. Wouldn’t it be cool if there was a way to TURN OFF features so they don’t appear in the menu at all so instead of seeing 20 items, I only see 5. It helps but doesn’t solve initial configuration settings – e.g. do you want your C-AF tracking ‘tight’ or ‘loose’, and where is it? Or button assignments? etc. Initial configuration is definitely “nightmarish”…I always forget what I set the MySet settings to which then completely defeats the whole purpose of MySet or Custom settings in my Opinion. So not only do we need to have simpler menus, we need ways to rename them so normal humans can remember rather then C1, C2, C3, Cx. Hopefully the initial setup is that, just a one time thing. Anyway, I digress and think the camera overall seems like it has enough improvements over the EM1 to warrant the new flagship model. Hopefully when ACR support it, you’ll find the time to examine the RAW files and get a better sense if the new sensor has made any real improvements over the last one. I’ve always found your post reviews even more useful than the initial impression after you’ve had more time with it (assuming you use it of course). They’re just broken down further in the EM1.2 so that there’s less scrolling – it’s still a nightmare though. If anything, worse, because there are even more options. It would be really nice to be able to do this graphically rather than by list; I think to some degree Nikon, Canon and Panasonic already offer this. Initial impressions are limited because we can’t cover every possible scenario…and often firmware or hardware isn’t final anyway. Thanks for a balanced review. Regarding image stabilization causing difficulty with final framing of the shot, it would be interesting to know how the “Half Way Rls With IS” option changes the situation. It can be found in the “C. Release” menu (on E-M 5II). When disabled the stabilization starts only when you fully press the shutter so it doesn’t affect framing when half-pressed. But is the stabilization still as effective in this case? It doesn’t seem to be – I prefer to have it on all the time, as framing with longer lenses is much easier. Thanks for your review Ming. You are among very few reviewers who actually gets and treats cameras for what they are, and that makes your reviews much more reliable and valuable than the average so called reviews on the net. 1. Did you get a chance to check if the new camera lets you set the Auto ISO from the extended base ISO (ISO Low)? The current ones do not let you choose ISO LOW as the min. ISO. 3. 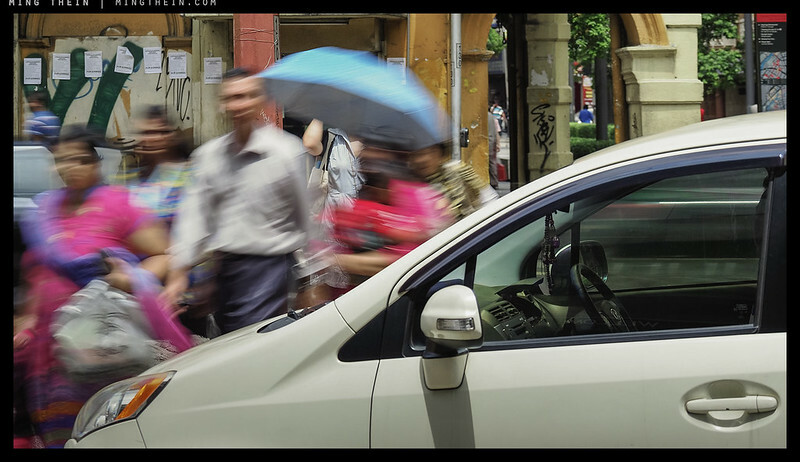 Did you feel any lag in AF while shooting slow moving subjects in Single AF mode? DSLRs have no perceptible lag for example in parades when people are moving slowly towards the camera, while my Olympus (E-M1 and E-M10s) have a very short, but perceptible lag. 4. Any chance shooting with any of the old FT lenses? 1. I could select LOW as the Auto-base but there was no point as dynamic range is clearly compromised – to the point that you can see increased areas of clipping in the live view highlight warning. If you want lower shutter speeds, use an ND filter. 2. No, you can set an absolute minimum only – not a relative minimum (say 1/fl or multiples of, like the newer Nikons or Canons). But auto ISO works in manual, too – for a sort of TAV equivalent mode. 3. The lag is still slightly there, but considerably less than the E-M1. I remember reading lag is now equivalent to one phase of the LCD, which at 120Hz is about 6ms or thereabouts. 4. No, sorry. Completely defeats the point of M4/3 in my opinion. Ming, the last few shots prior to your final chair shot neatly visualize your description of ‘creative shuttering’ (I can’t think of a better phrase at the moment). 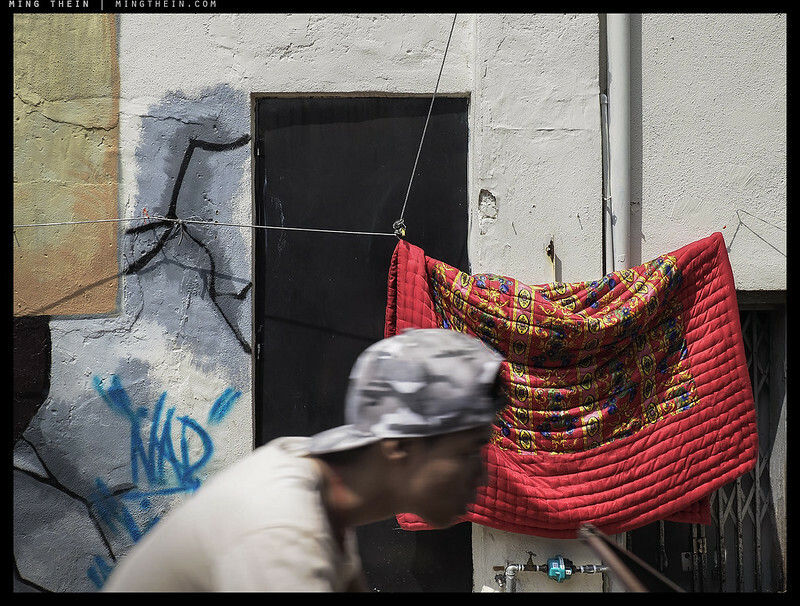 Seems like an ideal camera for creative street shooting, but at $2k USD… ehhh. Still, I admire a company for expanding the envelope. I’m guessing since you didn’t mention it, you didn’t try it or dig too deeply into it — focus stacking/bracketing. Lloyd Chambers has been chirping about this for awhile now (not specifically about Oly’s implementation, but the desire for manufacturers to support it in-camera). I’m interested to see how/if Oly manages this handheld, vs something like the D810 etc on a tripod then stacking via software. If one could focus stack handheld ‘out in the wild’, the cost of entry might be worth it just by losing the tripod. I honestly wasn’t able to find it in the menus – but I had incomplete firmware, which might have something to do with it. I don’t see how you could do stacking handheld but not high res composite (these are effectively the same operation, but slightly offset laterally/vertically). Good point re. tripod: a decent compact travel model and head to support the Oly will run you the better part of $700-800 anyway; yes, maybe that’s worth factoring in to the cost of entry. Anyone familiar with Ming-speak will regard this as a very positive review of the camera. That said, your observations as they relate to image quality are not entirely consistent with the photographs you’ve provided in this review, which to my eyes look vastly superior to that of the E-M1. I will be very interested to see the pictures you can make once ACR is supported. Thank you. Yes and no. Three years have passed between the original E-M1 and this camera. That’s a whole lot of time in terms of creative and post processing experience and software evolution, too. The only way to factor that out is trust my judgment when I say I’ve looked at files shot under similar conditions, and don’t see that much of a difference. There’s also a whole load of web compression going on – earlier images were uploaded at 1200px wide max; now I’m uploading at 2000px+ and downsampling a bit more, which helps. If you examine full size files, it’s a different story. Setting aside the technical aspects of the files for a moment and simply concentrating on what I like to call the “sudden Impact” artistic viewing impression I get with the standard viewing parameters of my 2560 screen e.g.no pixel peeping or zooming, the pictures to my eyes just looks that much better. I’m sure the lens has a lot to do with it but I am much more impressed than I thought I would be. Perhaps, but I’m seeing this visual impact on other review site’s examples as well. Even a couple from the sites that I don’t hold in very high regard for their photography skills (you know who I mean 😉 which is the most shocking … I was stunned. Ming, I know it was an odd choice & there’s nothing to be gained by explaining it here, but I bought a “similar” beast a few months back – a Canon PowerShot G7 Mark II. For what I use it on, it’s great fun and produces perfectly acceptable shots. It’s NOT a D810, the lenses aren’t Zeiss Optus, and it sure as hell isn’t a ‘blad. But then I never intended it to be. What it does, it does well. I looked through the shots you included in your article, and the quality is great, taking account of the size of the camera. It varies between shots, but if you look at the shot of the (?) 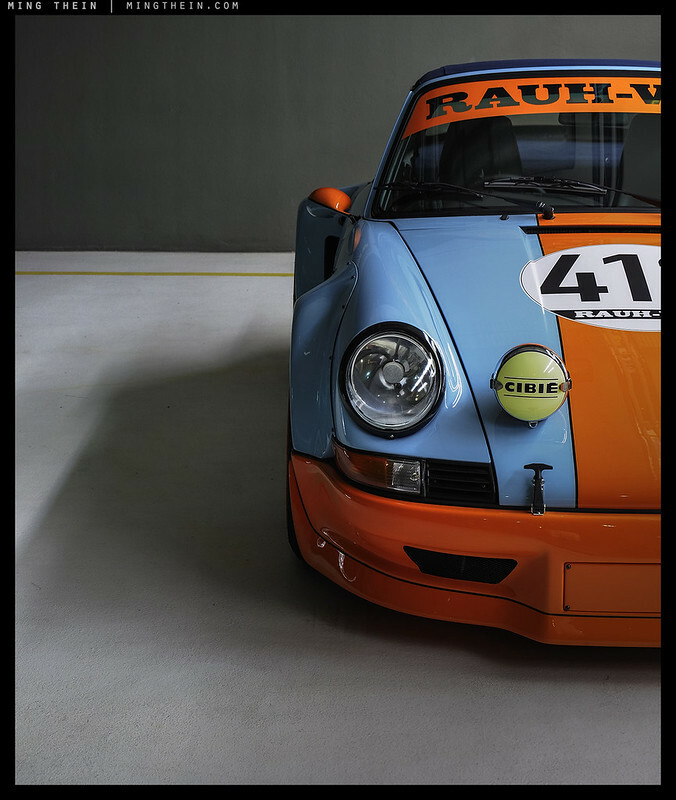 Porsche, it is tack sharp and great colours – this cam fires !!! 🙂 Maybe I would have chosen it instead, if it had been around when I bought the PowerShot – Olympus does make good cameras. Looking forward to seeing what it does once the issues like ACR support etc are sorted. It has a lower peak image quality potential, but manages to deliver at that level for a larger portion of the envelope. Everything taken into account, does it overtake FF? Perhaps towards the edges. MF? No. Bottom line: I wouldn’t be getting any more than I’ve already got. But for those not in the same situation: it’s worth looking at for that reason. I’m sure it’s a great camera, but menus and ergonomics seem to be similar to the E-M1 that I currently use and dislike. The most important challenger for this camera is probably the Panasonic G80/85. The feature set of the Panasonic is simpler and less complete, but ergonomics are better and more importantly: it’s less than half the price. Actually, the menus are worse. They’re even more buried/nested. Ergonomics are much better though; it doesn’t feel cramped. How effective is the stabiliser on the Panasonic? I haven’t tried a Panasonic with stabiliser yet, but in combination with PanaLeica and Panasonic lenses, which mostly are stabilised, it should be sufficient. I actually like the RAW files from Panasonic more than those from the E-M1 as well, and the upcoming trio of PanaLeica zoom lenses (8-18, 12-60 and 50-200 f/2.8-4) looks very promising indeed. I still use the PL 14-50mm f/2.8-3.5 for 4/3 on the E-M1, simply because it renders so beautifully. One very important aspect of the difference in ergonomics is that Panasonic has followed a classic SLR layout for buttons and switches, while Olympus is all brand new innovative stuff that I still can’t get used to. And why does the viewfinder fill up completely with information about ISO and WB once I change the wheel to change ISO? I do know that ISO 400 comes after 200 and the WB info is totally irrelevant. Yes, it does obscure the view and it does something to my concentration. Mind you, this happens even if I’ve chosen the simplest VF layout, with only the most basic information. It makes me wonder about their competence. Wonder whether I should get the 12-100 if I already have 12-40. I don’t have any other weather-sealed lenses, and the increased stabilizer could help with all the focal lengths I guess. My feeling is you gain more from the stabiliser than the stop you lose. And personally, I like the extra reach/compression. Overall a very interesting review. I’m amazed how effective the handholding seems to be – it’s probably the aspect I least expected to show up as a big improvement. I won’t be surprised if Olympus have exaggerated the DR gain, but C-AF is my biggest potential selling point – although given that the new body will cost more than the E-M1 + 12-40 bundle did, I suspect I’ll be deferring that for another year. Your comment about people needing to get their hands on the Olympus is, I think, spot on. I’ve had two people, one a Nikon shooter and one a Canon, looking seriously into picking up the E-M1 after using mine for a little, but it’s hard to get a sense of how practical a camera it is without handling it. I don’t think I’d go as far as to dump my FF gear for it, but it could be a useful supplement. Personally, it’s only for video if I do acquire one – the image quality delta is just too big to my normal equipment (and not different enough to the 100D I’ve also got as the compact). Both of them are in what should be the sweet spot for Olympus, in that they don’t carry their SLRs enough (70 year old hands and wrists in one case). Of course, having seen that Olympus are locally pricing it on a par with the D500 & 50% more than the 7D II, and well north of the 6D/750/A7 Mark II, I can see sales people struggling to justify them to customers, which is a pity. I think it’s not an easy product to explain at all, and unless you understand and really need one or more its unique features – e.g. the stabiliser or video or some specific lens – then it’s difficult to justify. That was far more optimistic than I expected–I thought the camera would be a smaller incremental upgrade. I may look into the camera some more. The battery life I’m still suspicious on. I’m not sure it will last very long processing 4k video for an extended amount of time. I definitely am getting into the video capture fun ever since my firstborn arrived not too long ago, and expect to lean more on video as an equal to stills instead of as a supplement. Really love the E-M5 II stabilization, just wished for better quality output–mostly sharper. Particularly surprised on your remarks of the 12-100mm f4. A competent super-zoom seems almost paradoxical. I would have thought the f4 aperture too limiting at m4/3 equivalence levels to be useful most of the time. Well, you have me intrigued. 4K video didn’t seem to degrade performance much. I shot about 15min of footage with less than 10% battery drop during that time. I was surprised too, but after several thousand frames – it really is as good as it appears to be. That said: I was also able to routinely get 1000+ (and up to 2,200) shots per charge on the original E-M5, so take that for what it’s worth. Ming, can you please comment on EVF lag and blackout times, especially when it comes to shooting bursts and tracking subjects. That one of my key problems with current E-M1. Very low, and zero if you’ve got CH drive mode set. Much better than the E-M1. Thanks for the reply. Did you try at 18fps? Does it show live view between images or is it just a slideshow of the captured images? I tried the X-T2 recently and it can do 5fps with live view, 8fps with the power grip. I would expect the E-M1.2 to beat the Fuji in this respect, especially considering the price. I did try but honestly don’t remember. I think it showed a continuous live view as I remember not actually being sure when the shutter fired (full electronic). For Two Thousand Dollars, I can’t see anyone recommending this camera over a a6500, XT-2, GX80 or G80. Especially that you draw the limit for clean files at 1600! And a few of those cameras above are great at video, the GX80 can be purchased for around $700.00 WITH a lens!! The limit for clean files is no better with the others, and in a lot of situations, worse – the Fujis compromise shadow recoverability, for starters. I won’t comment on Sony as I’m not touching one of those again. I’ve had several, none of them have been reliable for various reasons and frankly all were not in the least bit enjoyable to use. Nice, I have just sold my D810 and lenses to go for mirrorless. Really hard choice between Oly and Fuji new cameras, the file handling on the fuji may and the problem with fine details may make me go for olympus. Image quality on both is going to leave you very disappointed if you’re coming from a D810. Judging IQ on what: cell phone, monitor, or large well done print. Most people don’t print so IQ seems a non-issue. Other than as a talking point! Good review and knew the video would be your main interest. Not sure new zpom’s IS works with EM1 per Robin who said need forward update first. IQ has been a non-issue for quite some time for pretty much all systems, and beyond that, a lot can be clawed back or lost in exposure and PP – in this case, probably more than is gained by the sensor change. I am expecting something like E-M5II to PEN-F: it’s there, but not a make or break factor. Sorry, but as someone who uses the X-T2 on a weekly basis professionally for major clients — and who also still owns the original E-M1 and has used it beside the X-T2 — there is simply no comparison: the Fuji files are clearly and unequivocally superior, particularly when the shooting envelope is pushed. The Olympus files just look “thinner” somehow. More silicon, more light collected: no surprise, at least past a given output size. In practice, the stabiliser claws some back though, assuming shutter speeds aren’t critical. Personally I get much better results when shooting still-ish subjects in the dark on my EM5.2 rather than D800E: stabilizer is that effective, and I can easily shoot from low angles without getting dirty. Agreed, thought if you have a VR lens and downsample to match the 5.2’s native size, it’s not so clear cut. ISO200 on EM5.2 (+12-40/2.8) vs ISO6400 on D800E (+24-105/4 Sigma) seems like no contest. But the VR on the Sigma doesn’t reliably gain me much, maybe the 24-120 Nikkor is much better in that regard. I worked this out once. D810, 24-120VR, f5.6, 50mm 1/50s, ISO 6400 – that’s a safe, workable shutter speed for critically sharp pixels with that lens and FL. E-M5.2, 12-40, f2.8, 25mm, 1/10s (assuming no moving elements) – is about ISO 400-320, I think. You may well be able to go lower with the D810, and downsampling gets you back at least a stop in noise, plus hides probably another stop in equivalent shake, and you can also count some color/DR/resolution gains, too – that might well mean it’s more like 1600 vs 320 or 400. It might still fall in favour of the D810, actually. Quite so. But as you said, “assuming shutter speeds aren’t critical”. For some they’re not. Speaking only for myself, they’re often critical. On set photography can be extremely challenging at times and I need to stay at 1/125 sec at least 50% of the time. They’re usually critical for me too, which means that the 1/2x – or higher – limits that MF impose aren’t such a big deal since I need the speed anyway. Thanks for ND filter response. New IS OLY zoom only has 3 useful stops. F 4, 5.6 and 8 and after that you USE ND to lower shutter speed. And native ISO 200 is lowest real iso.